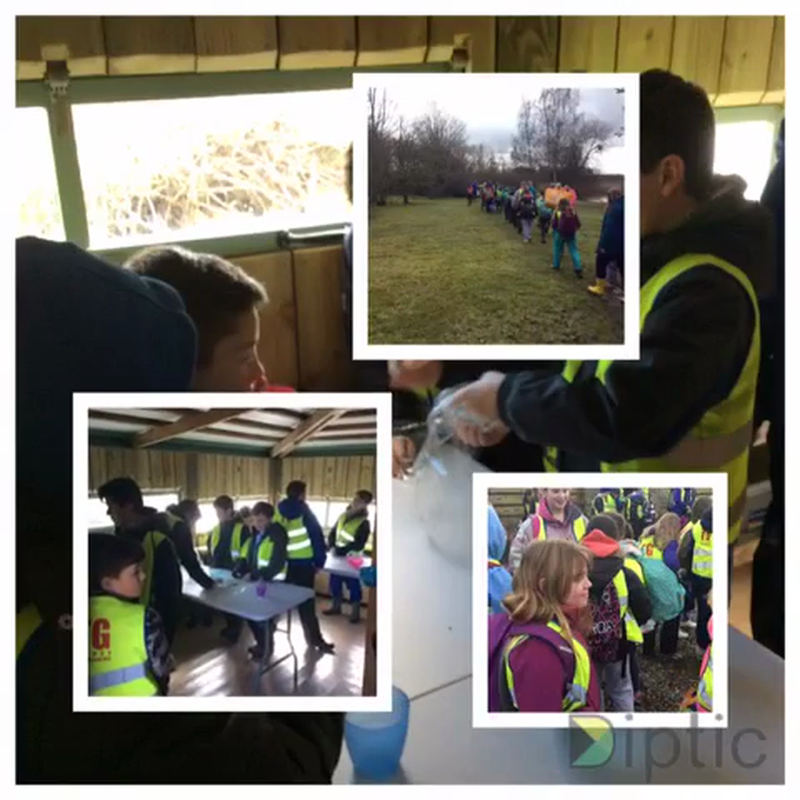 What an incredible opportunity when class 4 joined with Cockshutt Primary School to open a ‘hide’ at the fabulous Wood Lane Nature Reserve. 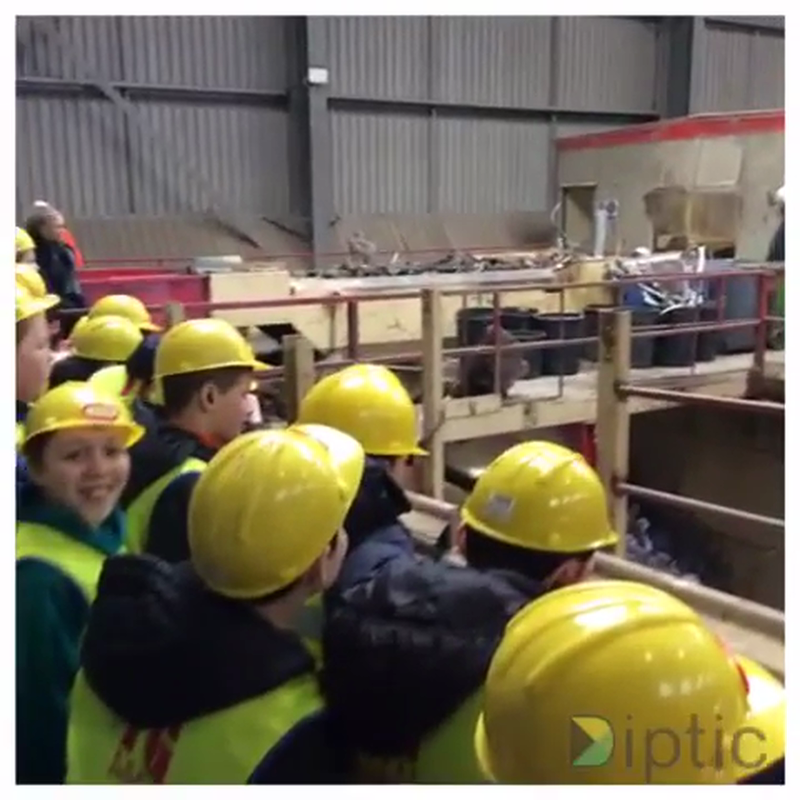 The fun packed day involved a guided tour of the working operations of this Tudor Griffiths site and also real hands on experience developing skills and knowledge of rocks. 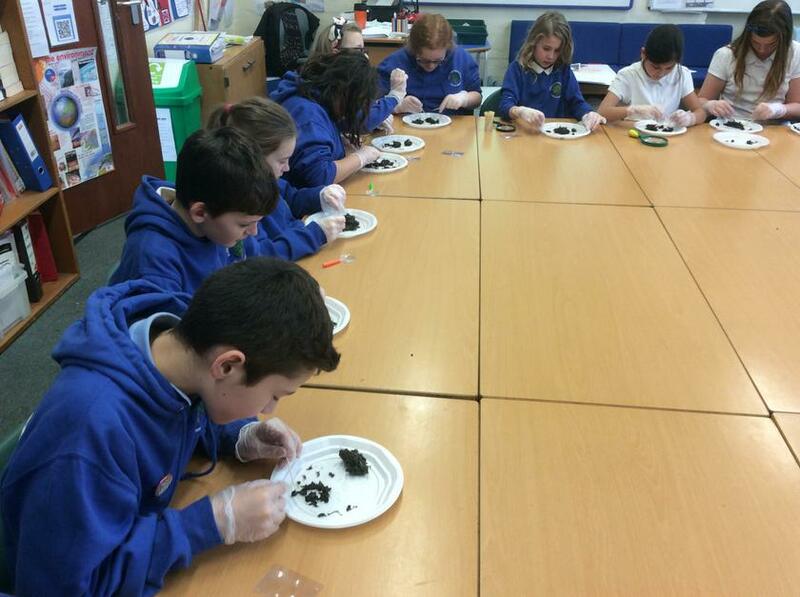 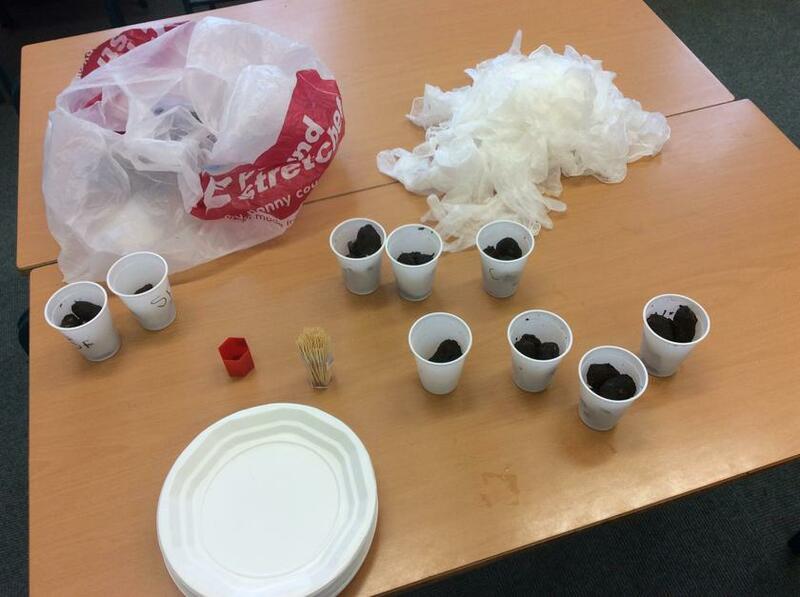 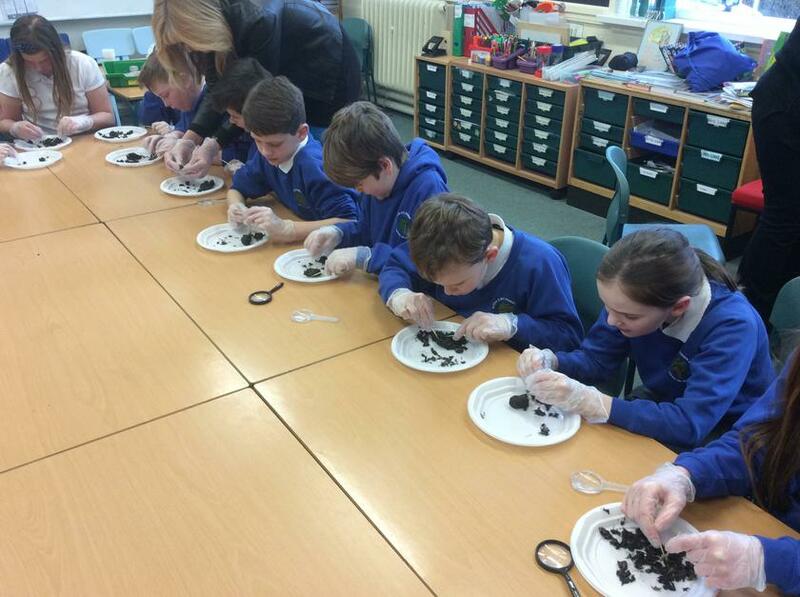 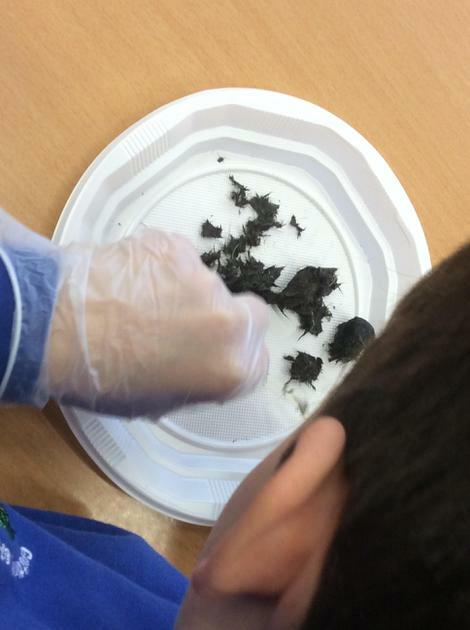 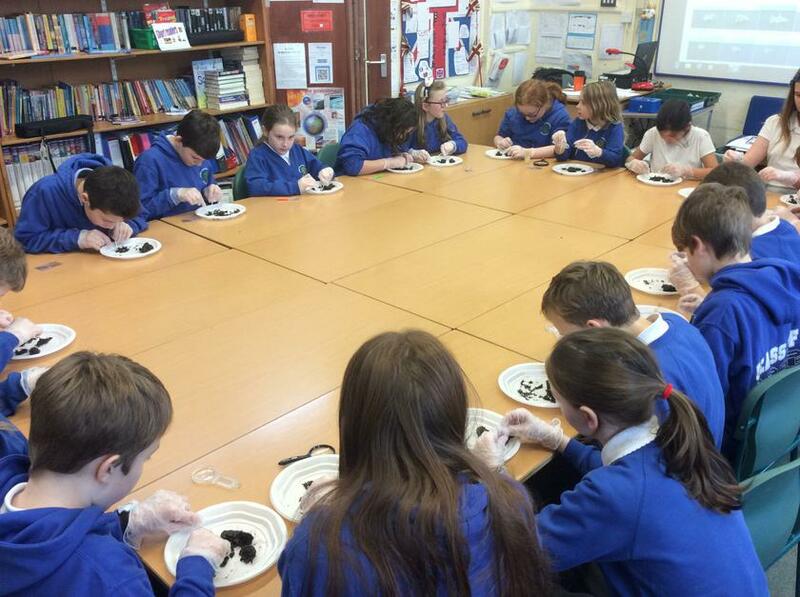 Pupils made their own igneous, metamorphic and sedimentary rocks as well as identifying rocks through experimenting. 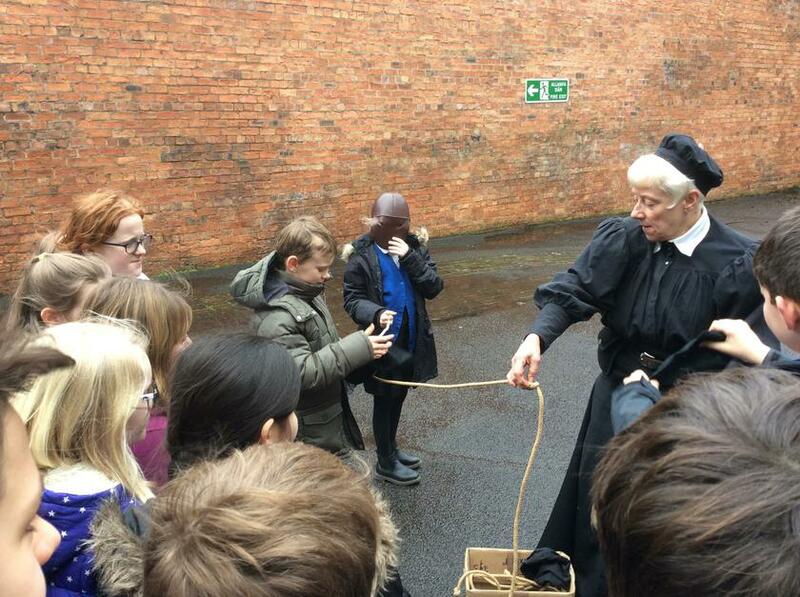 A great day out which celebrated our two federated schools. 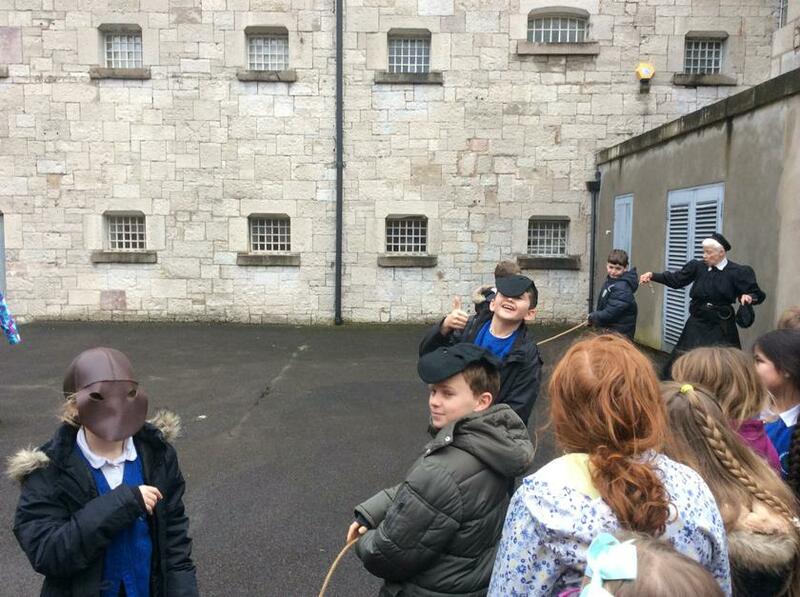 Rock- tastic day out ! 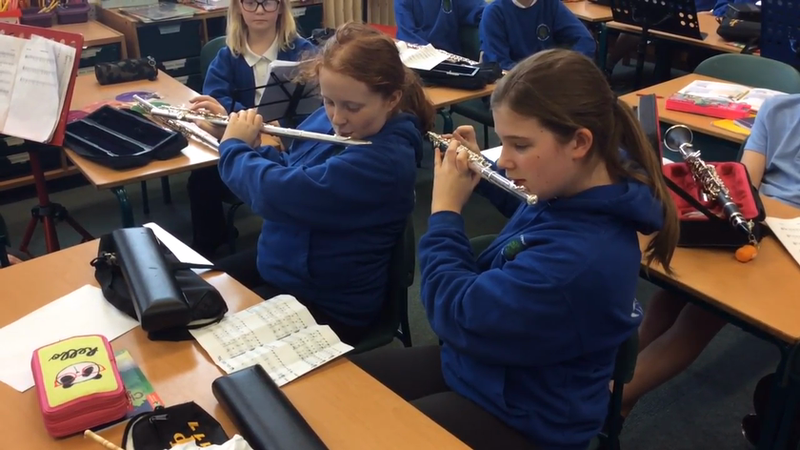 Clarinet and flute performances unaided. 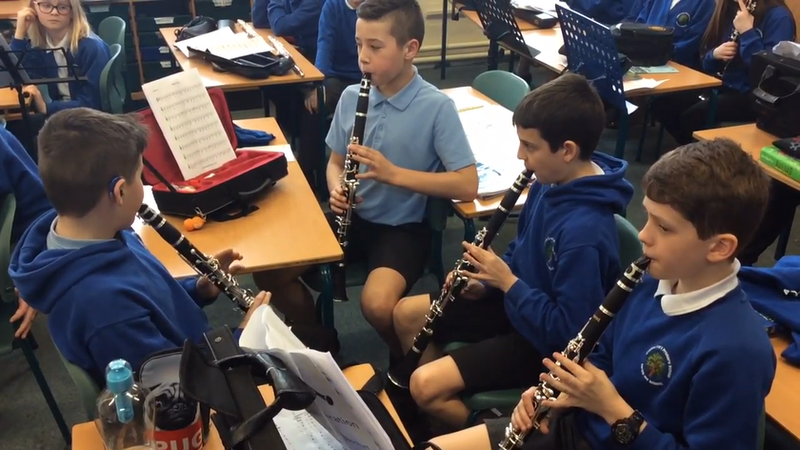 To be able to play music, is a gift truly worth sharing. 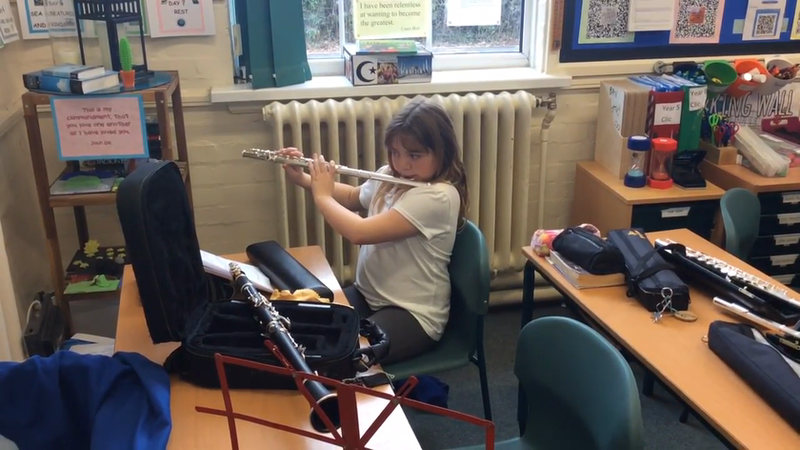 Solo performance by year 5. 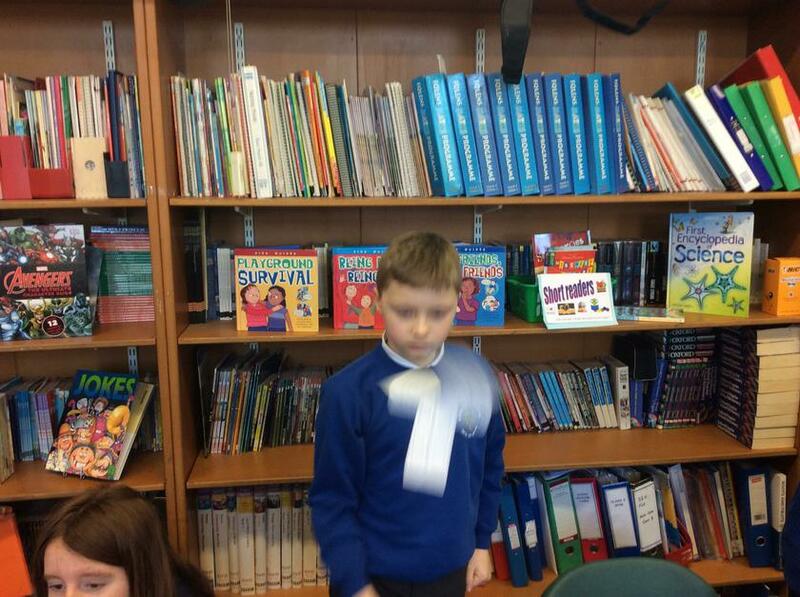 A wonderful Assembly today as all the school performed their class poem. 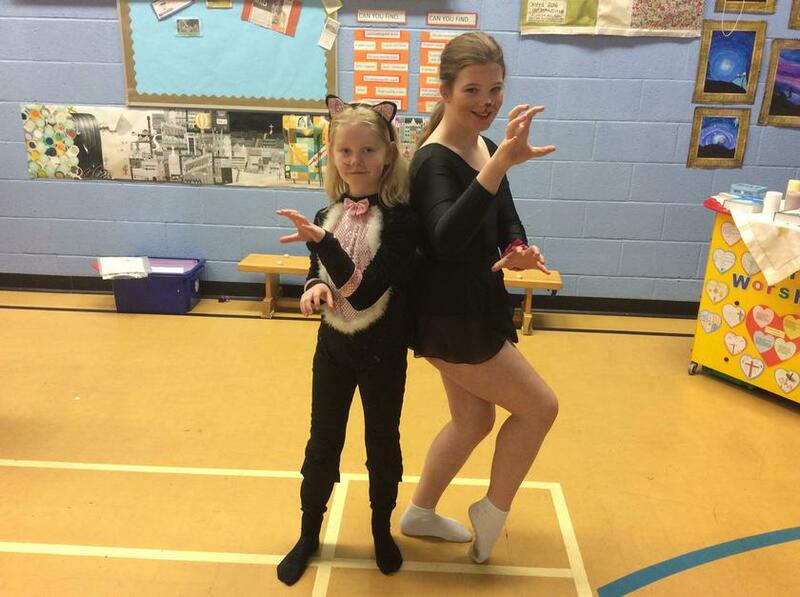 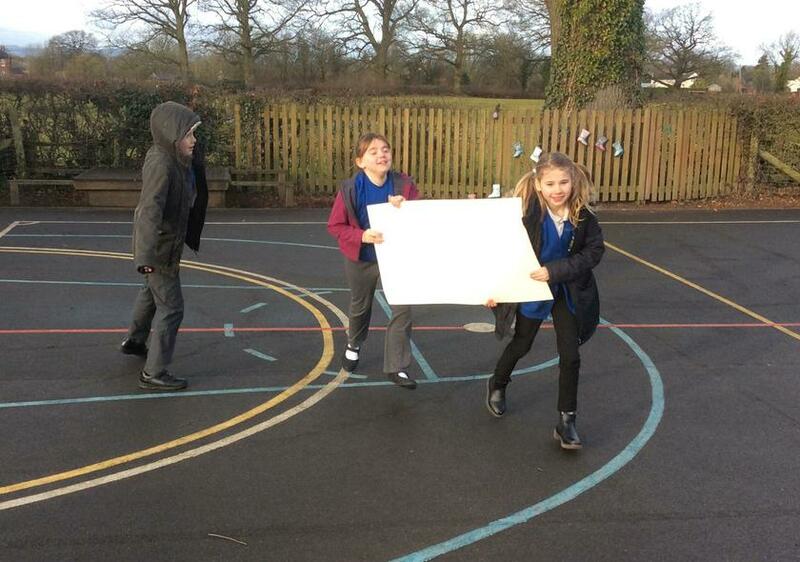 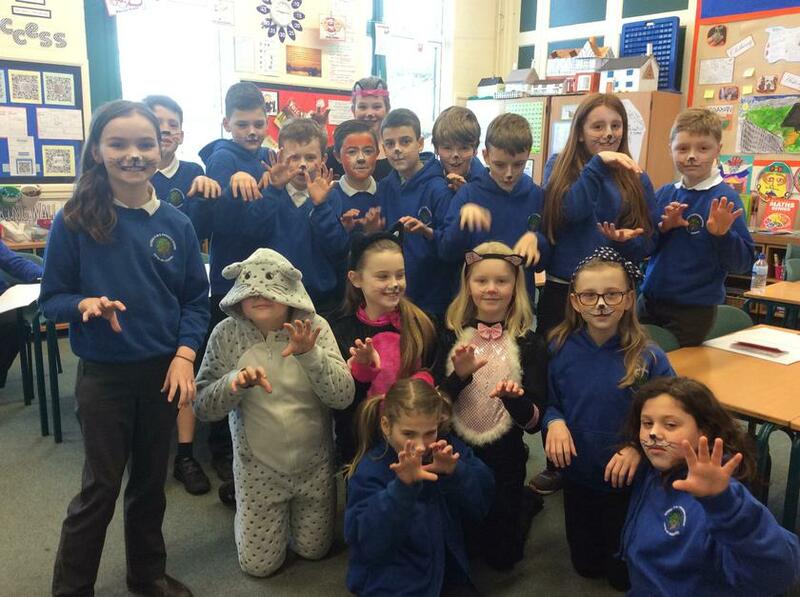 Class 4 worked hard on their performance of McCavity the Mystery Cat. 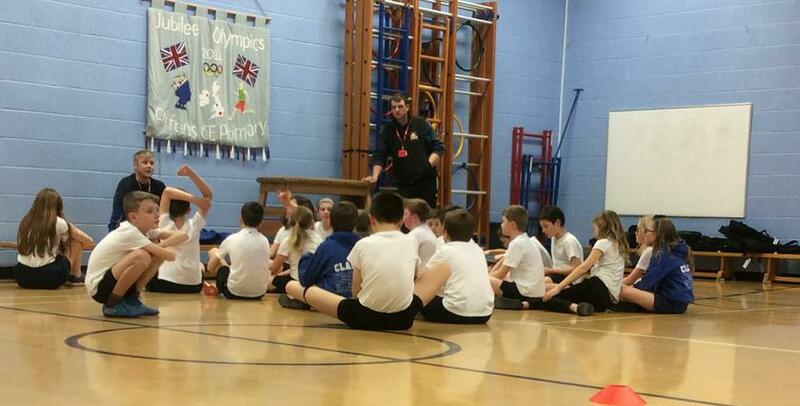 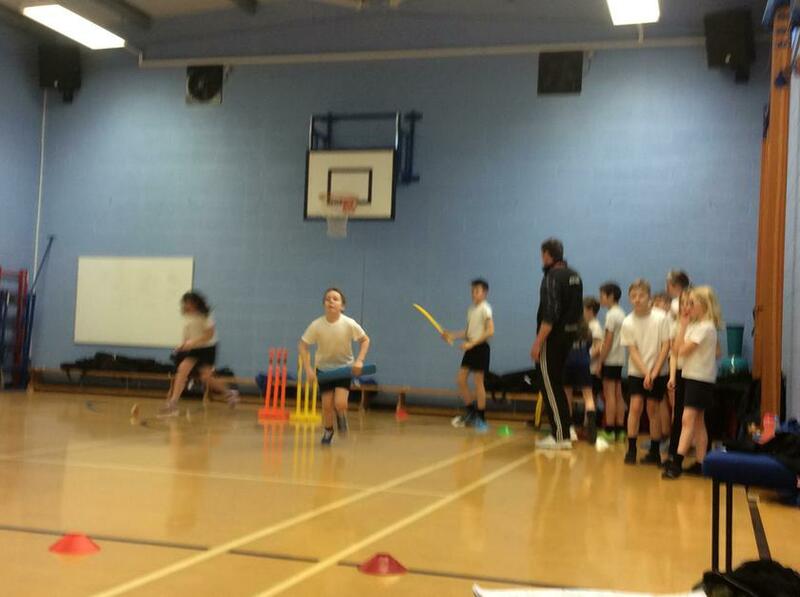 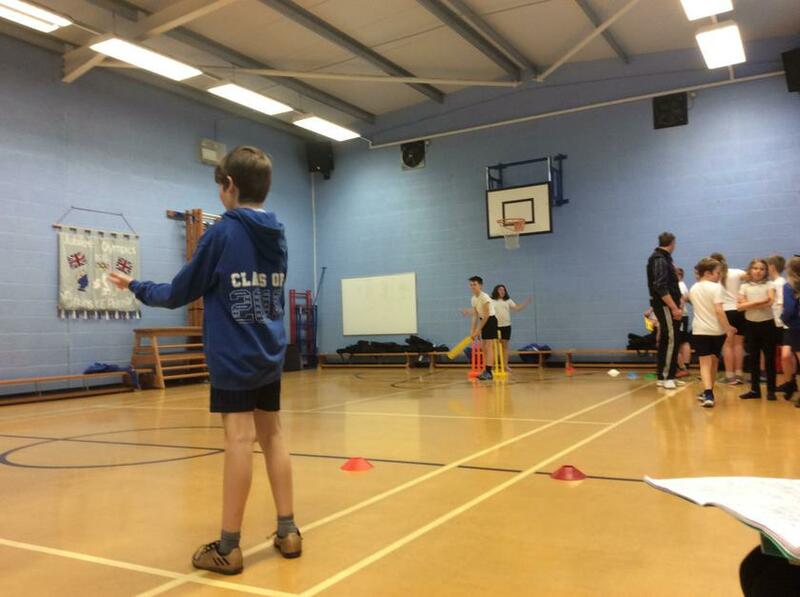 Each week pupils will have the opportunity to practise and find out more about playing cricket. 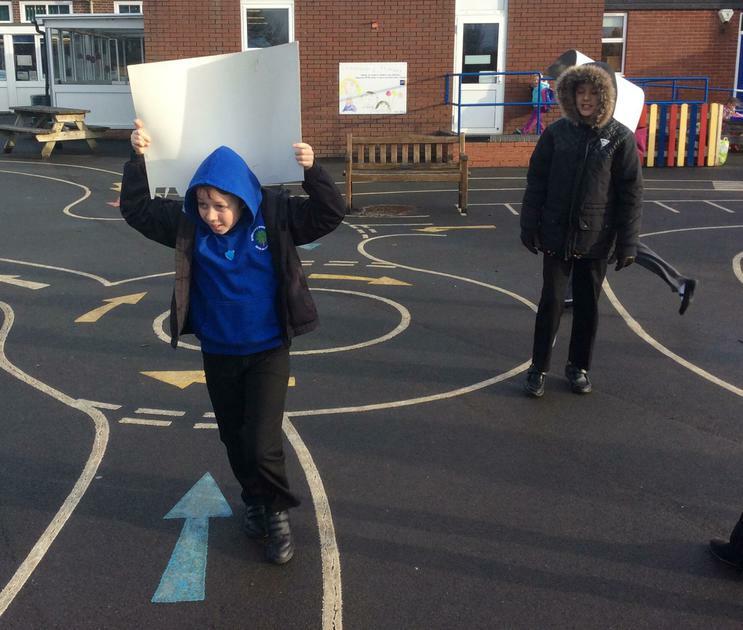 In our first week we found out about rules and respect for playing the game. 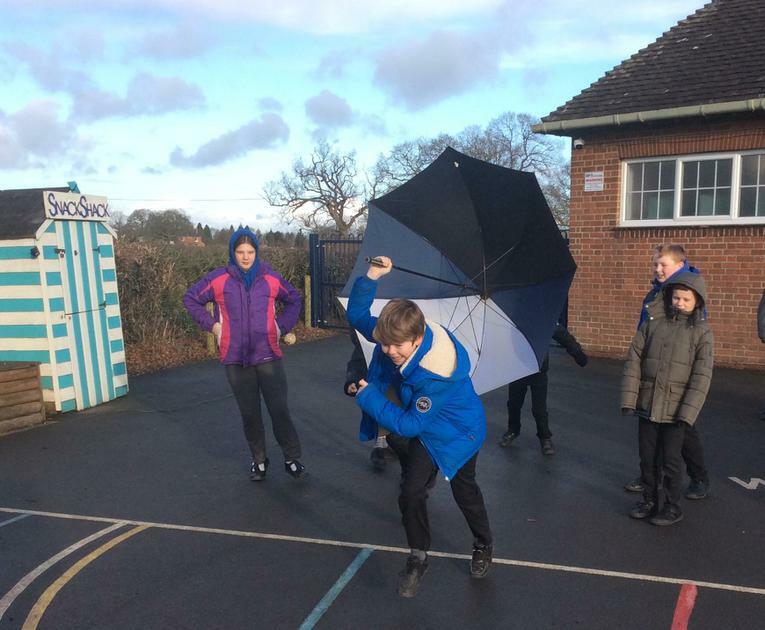 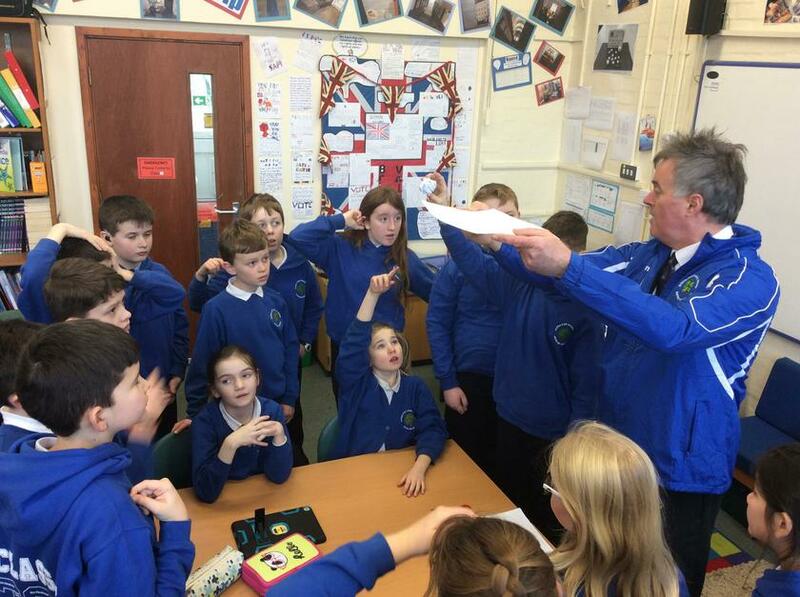 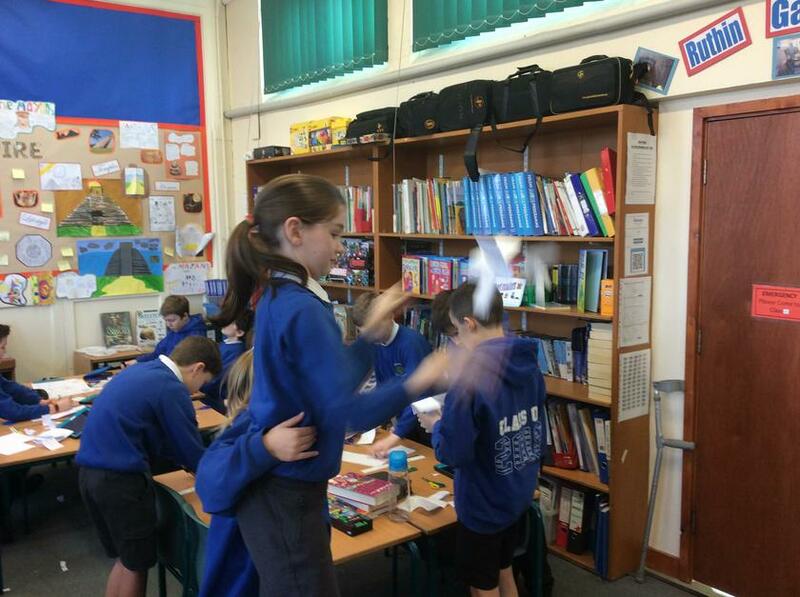 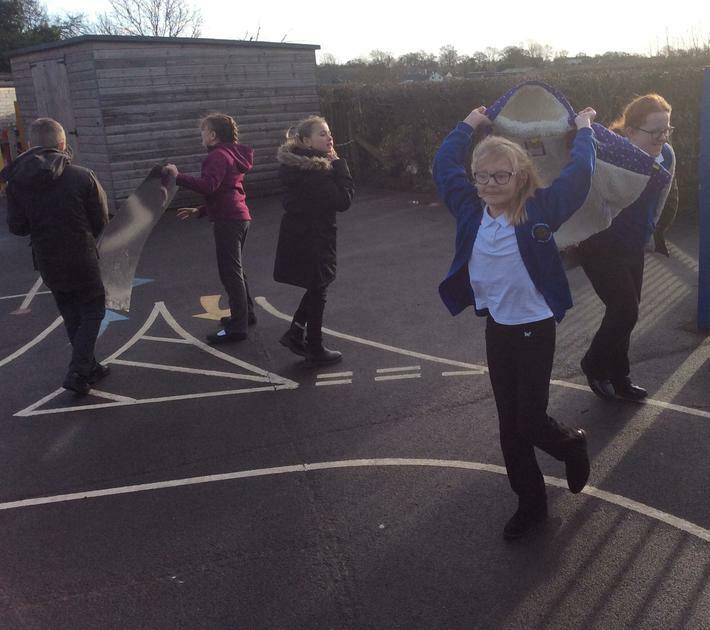 Class 4 have been looking at air resistance, and testing out home-made helicopters of different designs. 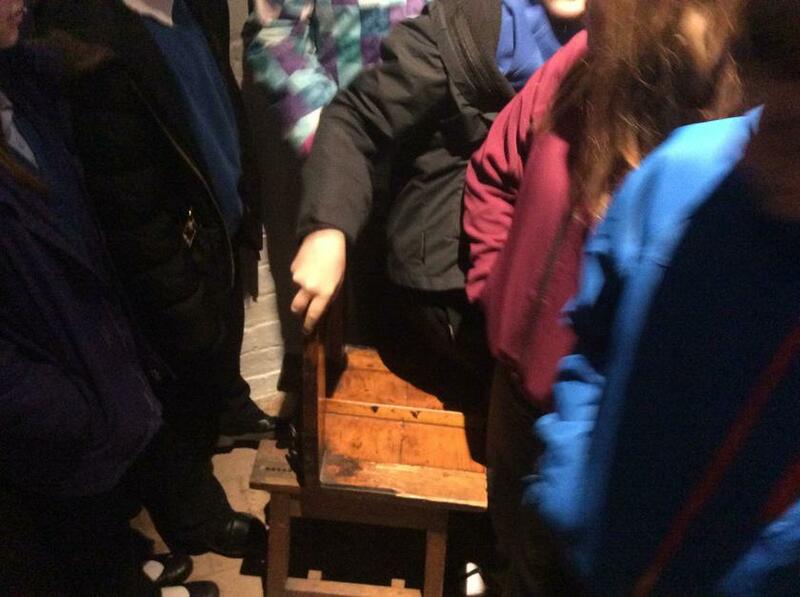 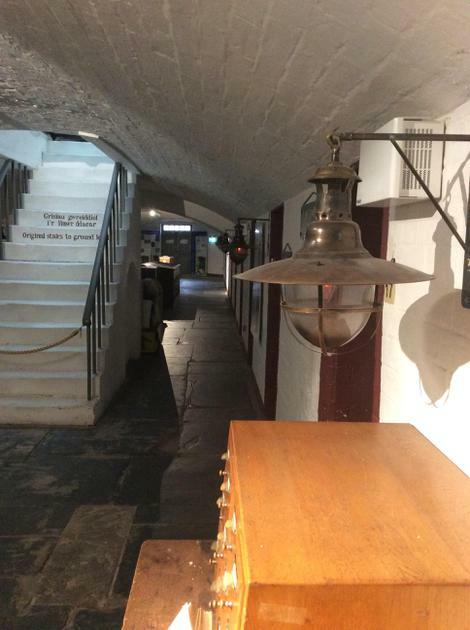 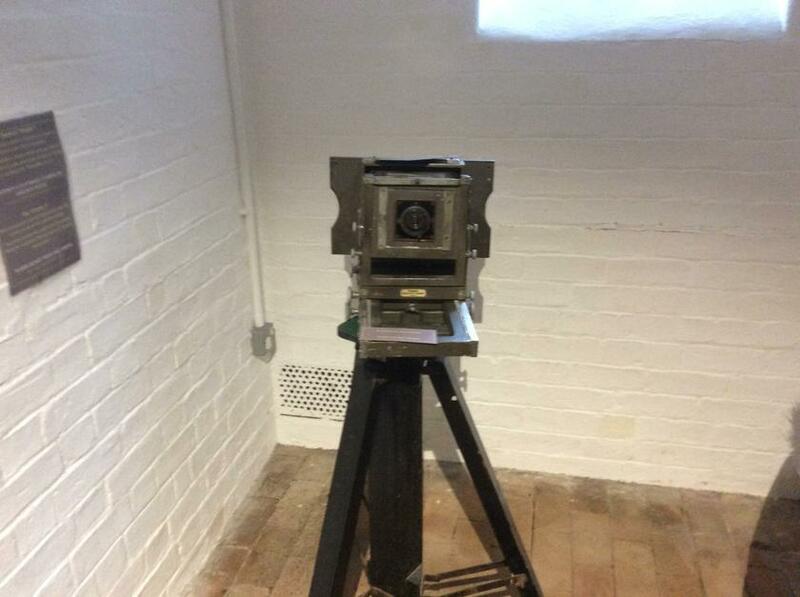 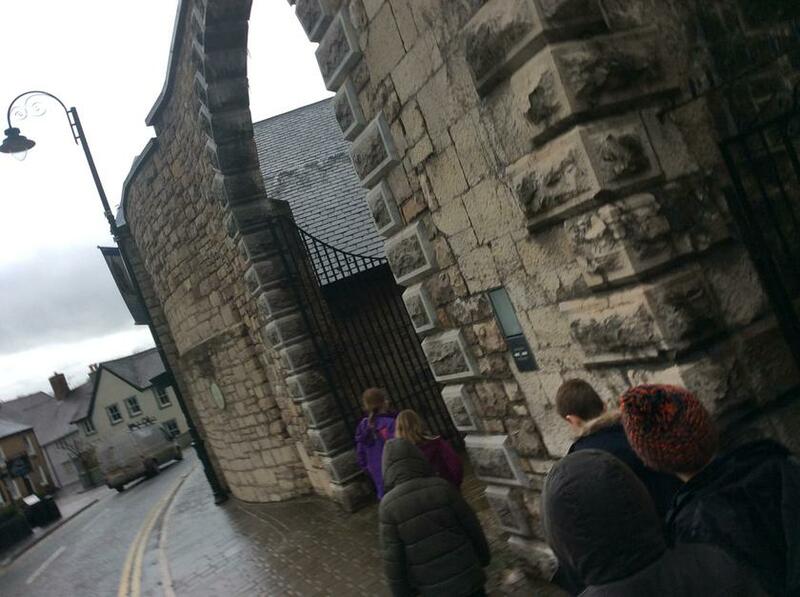 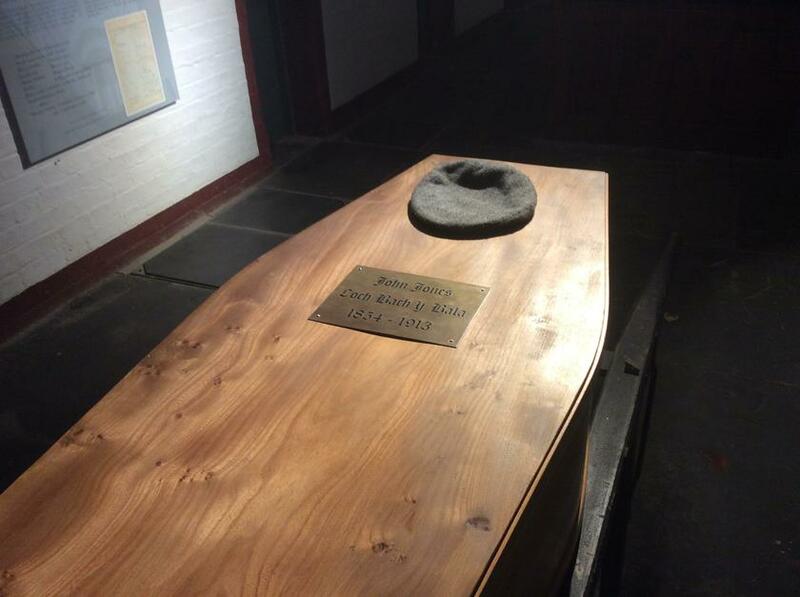 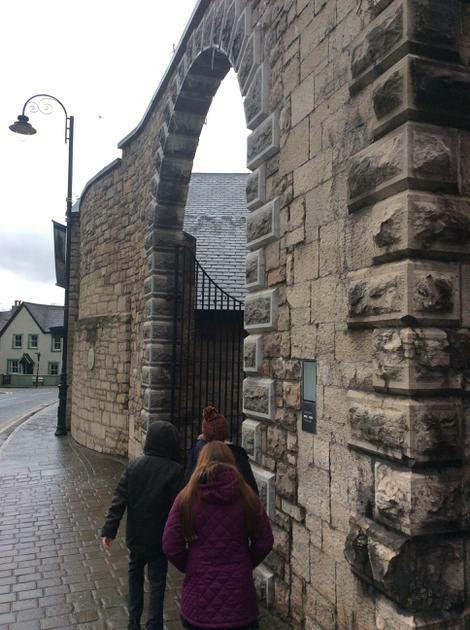 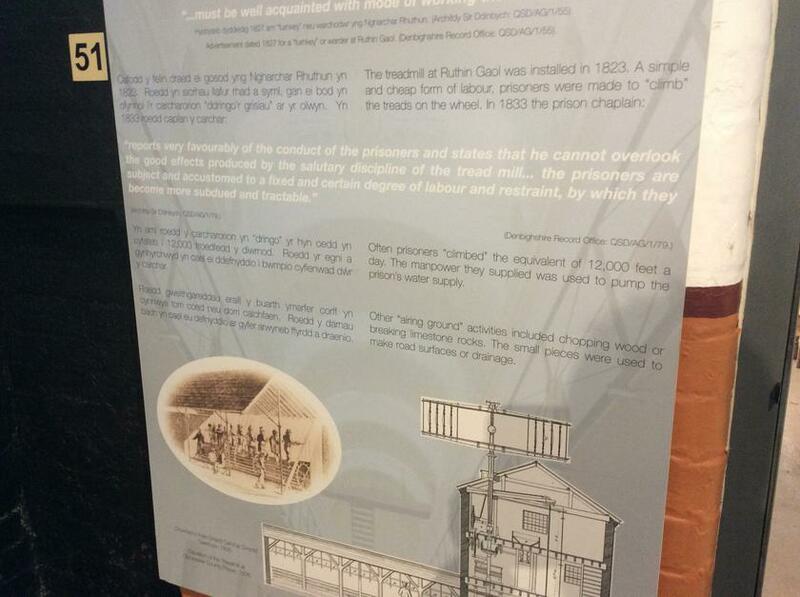 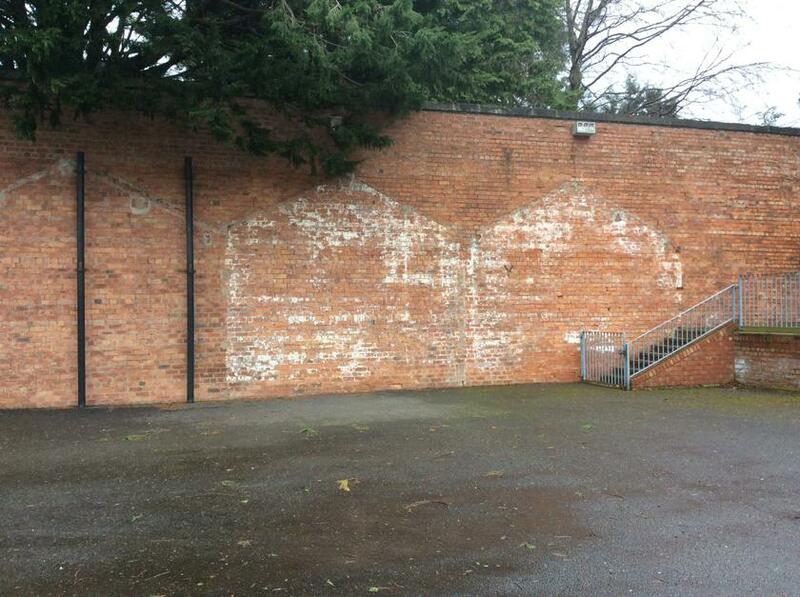 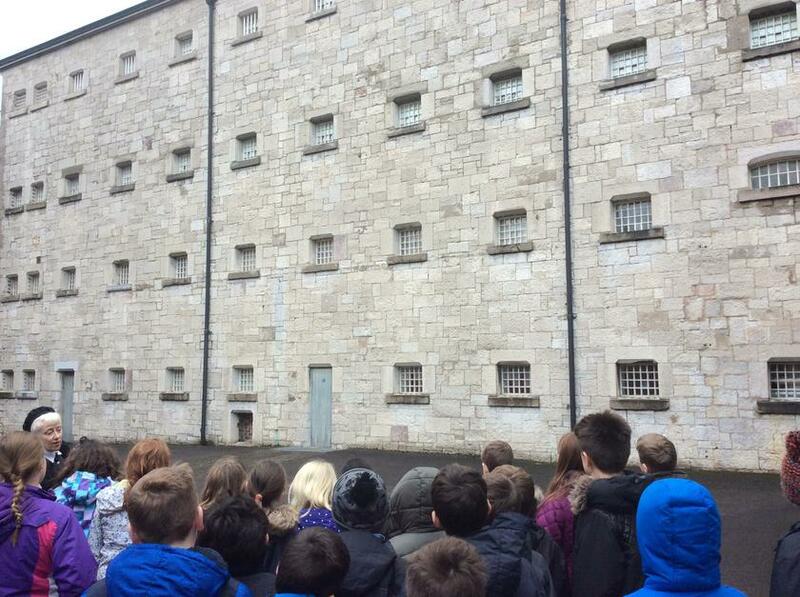 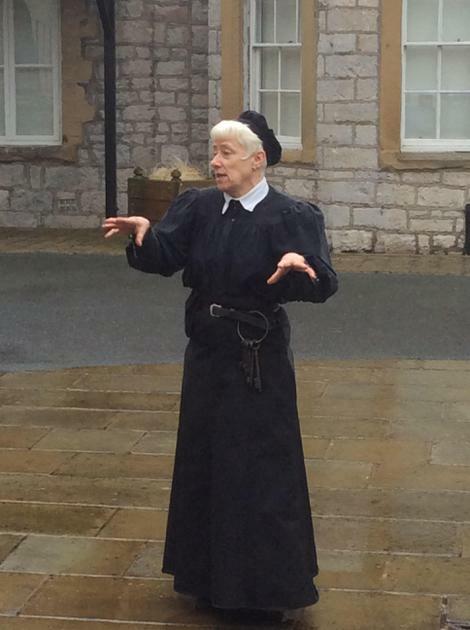 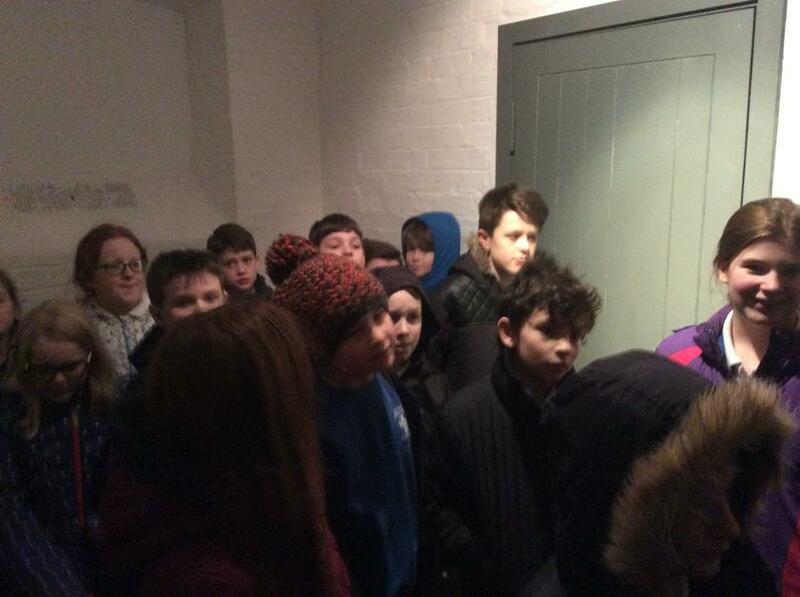 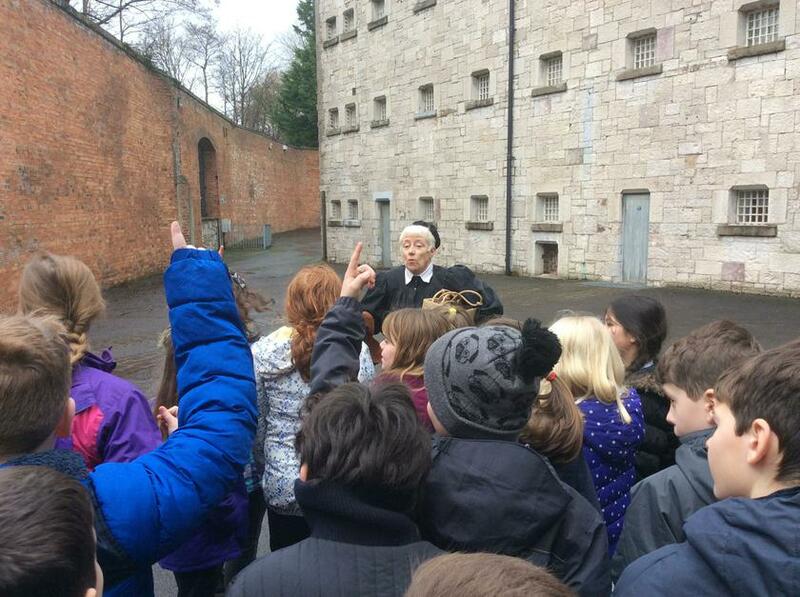 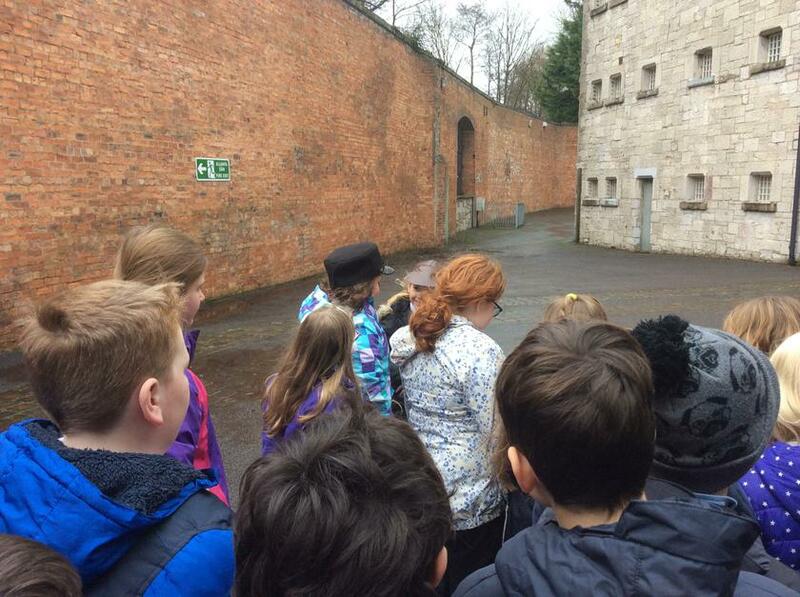 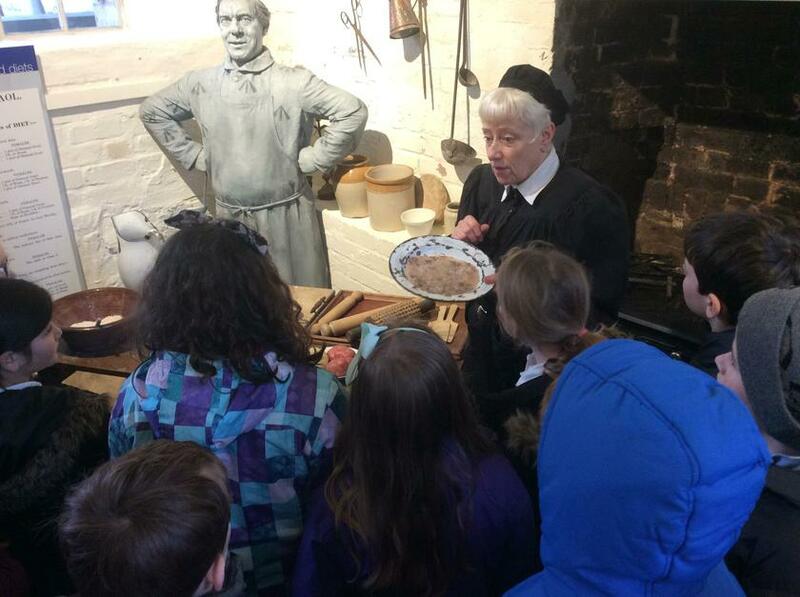 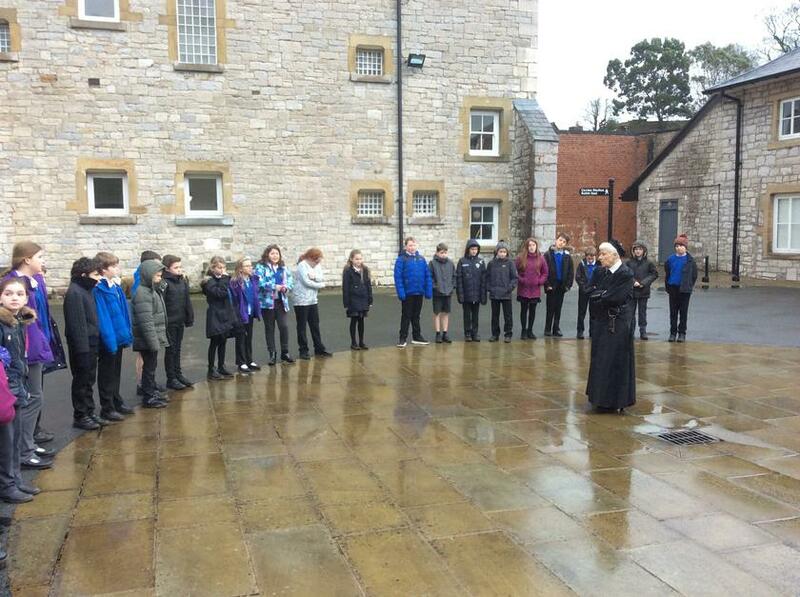 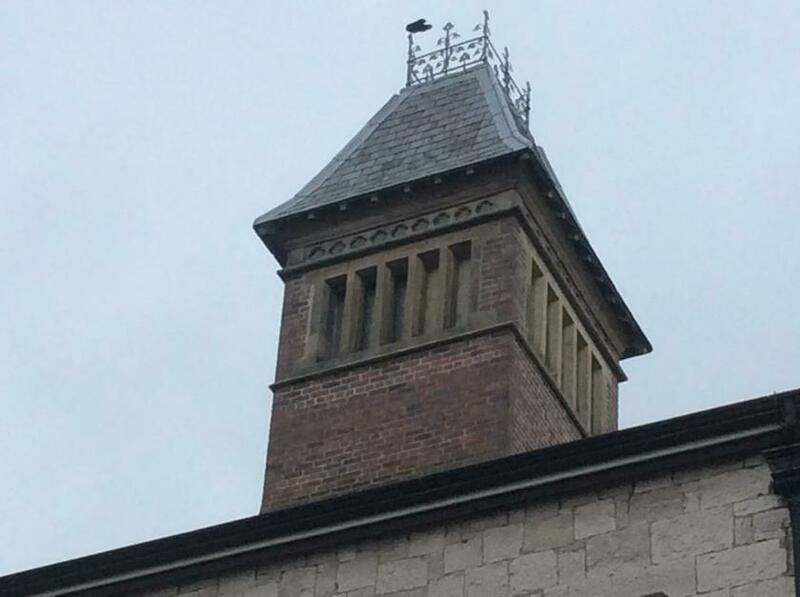 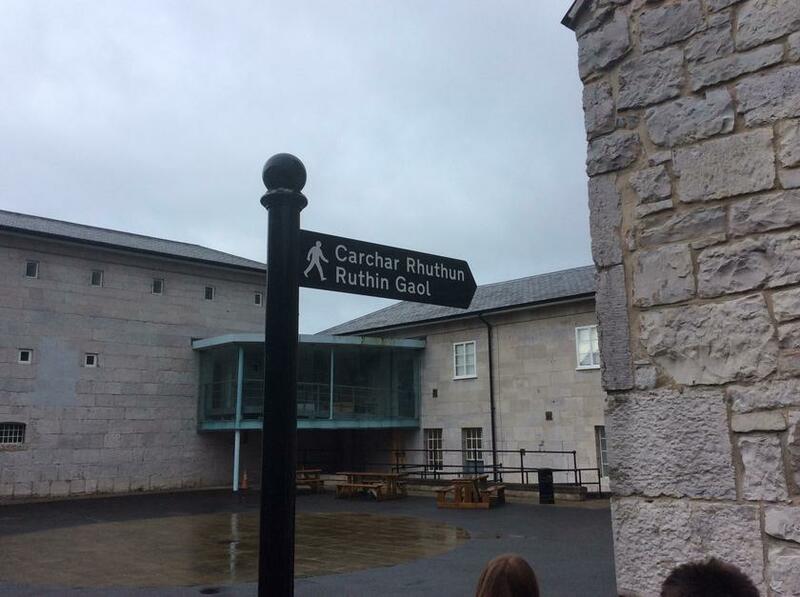 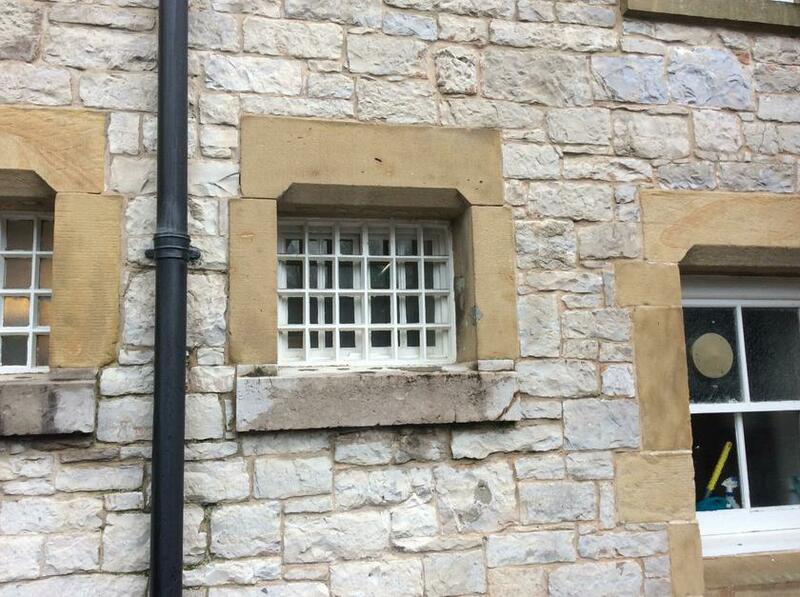 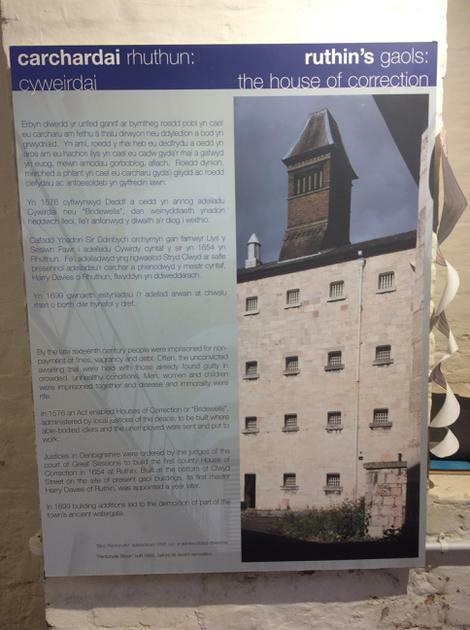 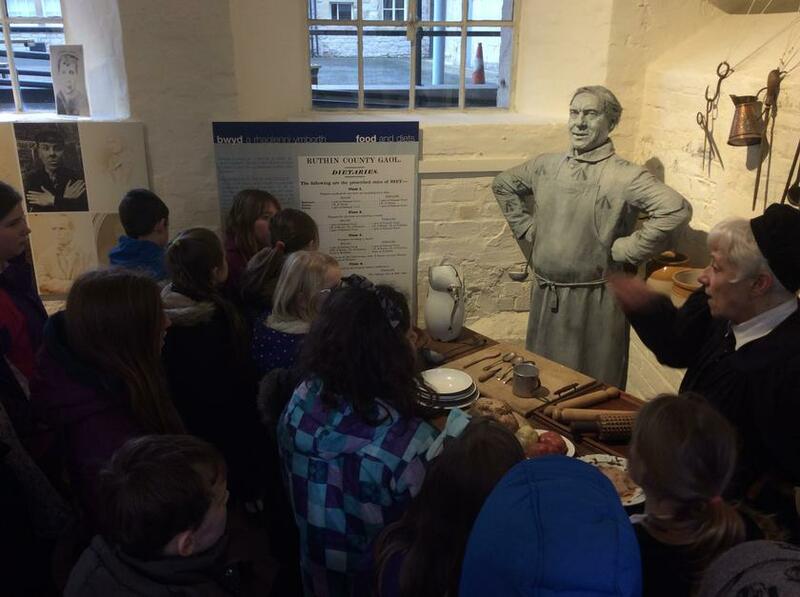 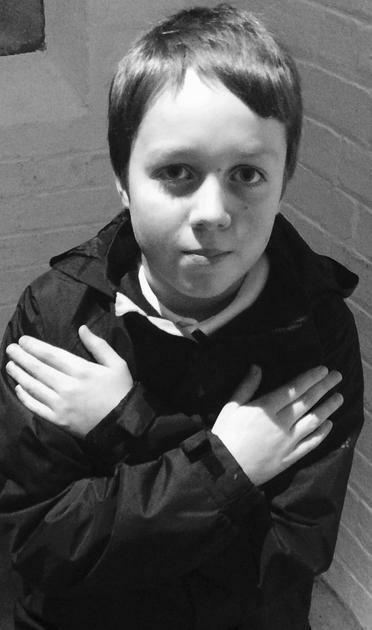 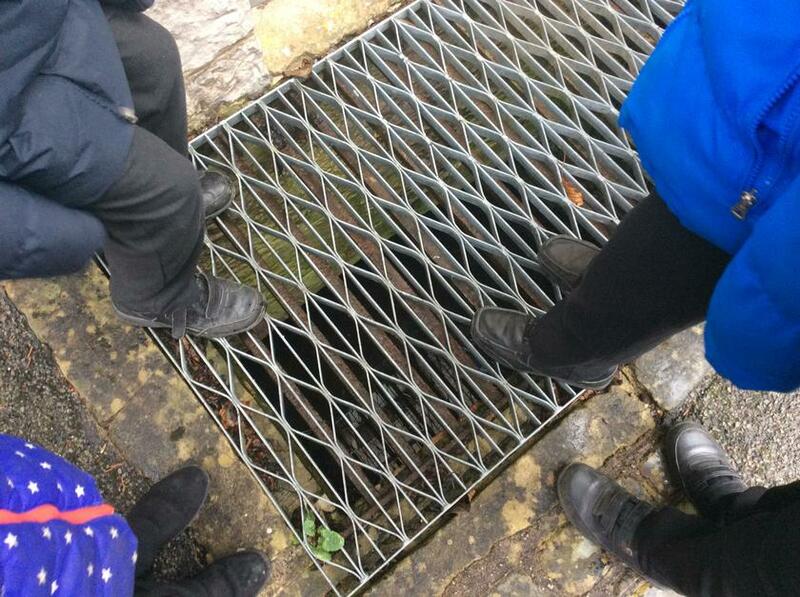 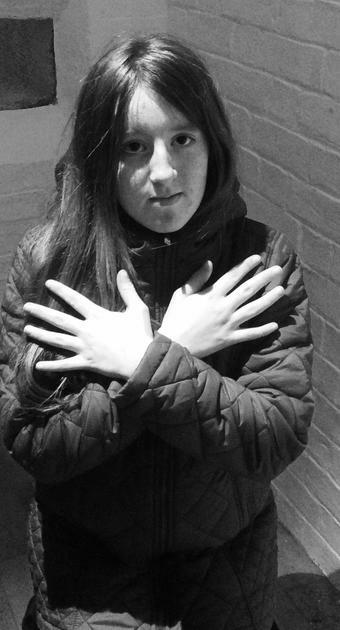 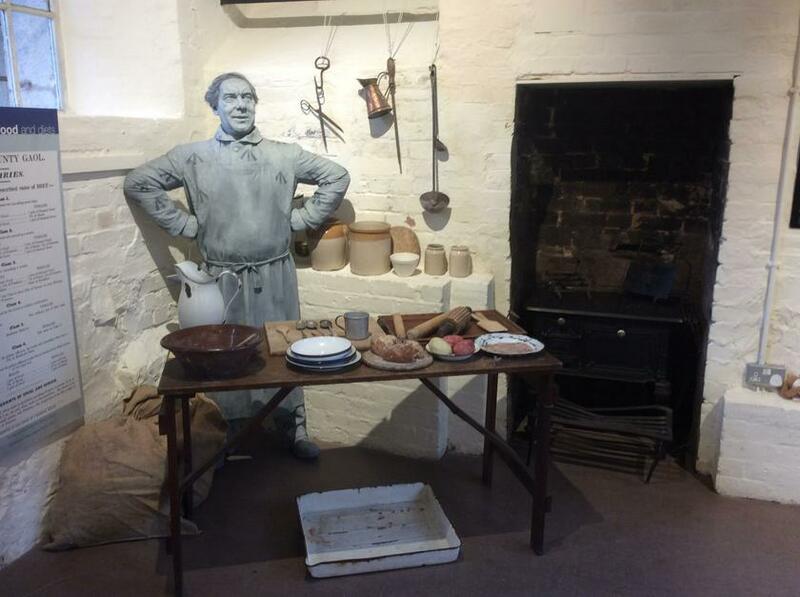 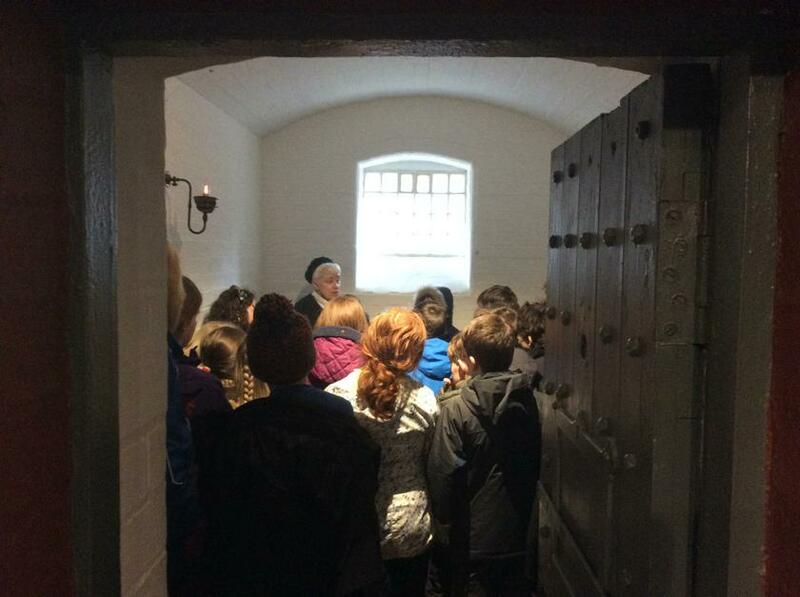 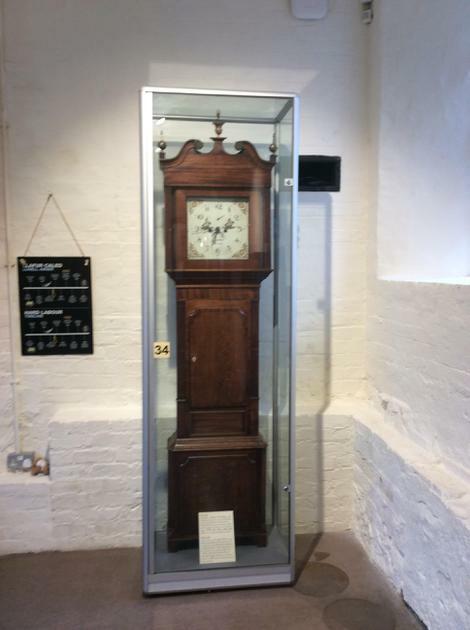 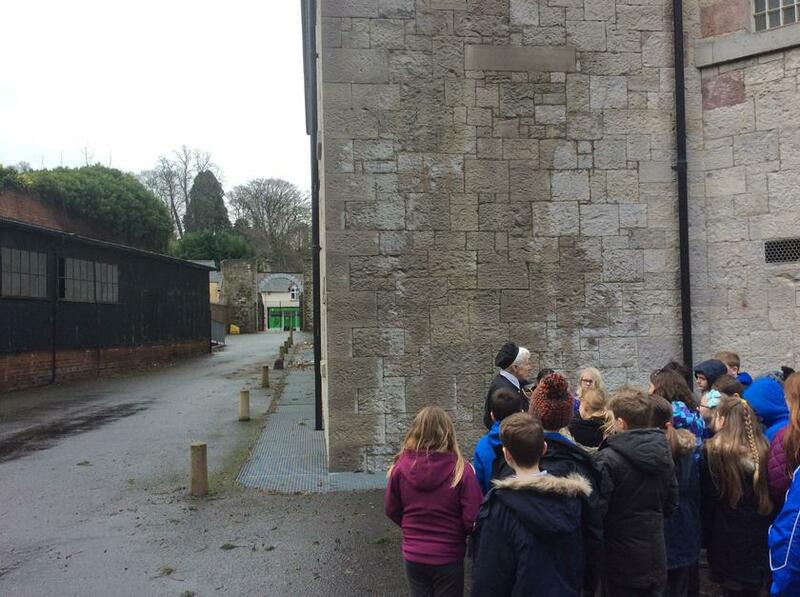 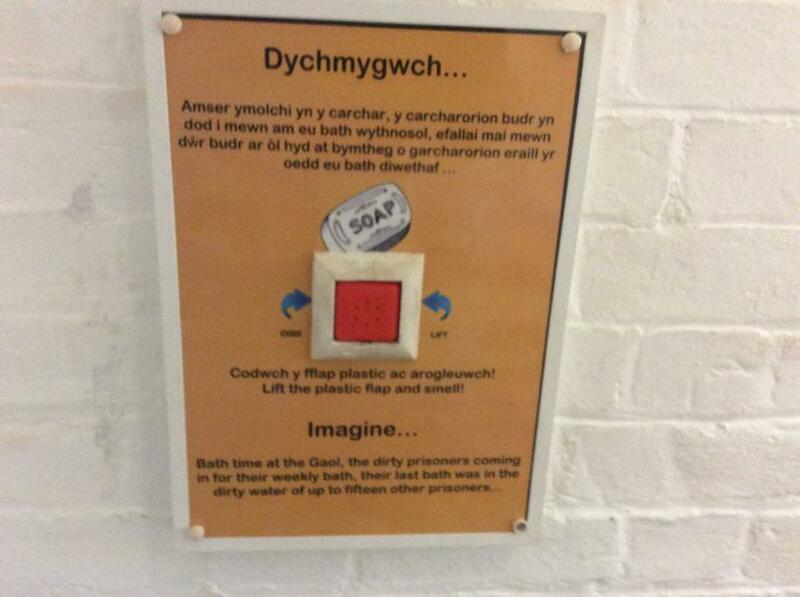 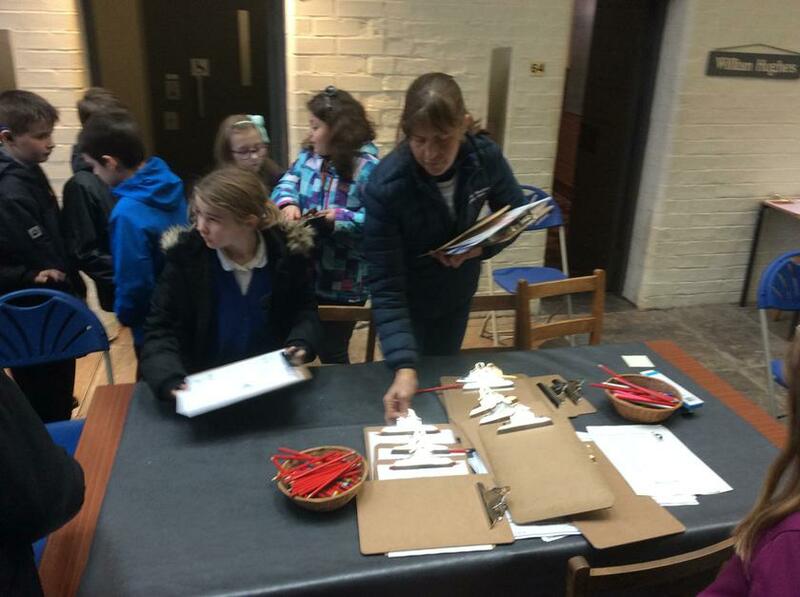 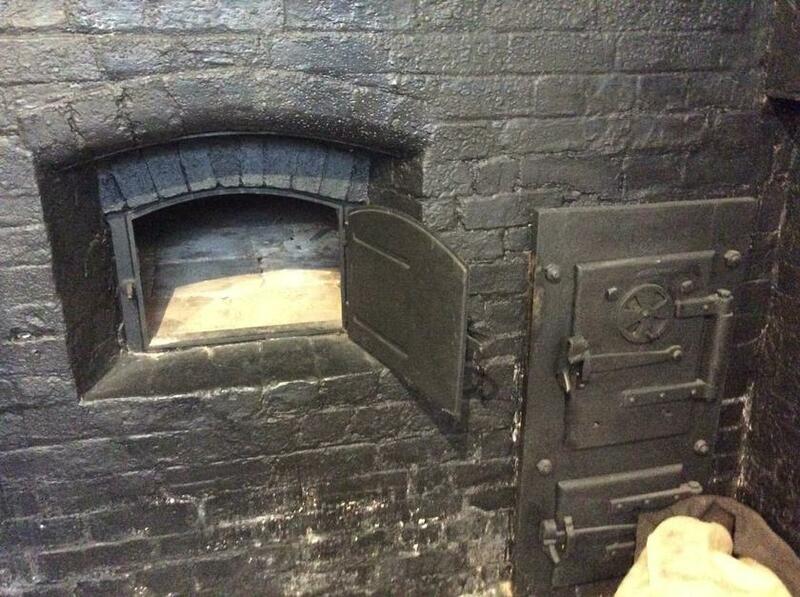 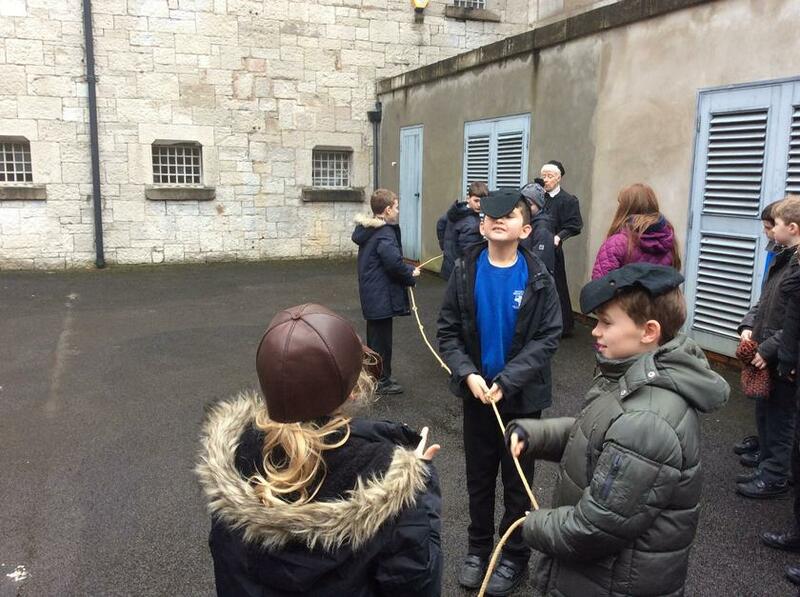 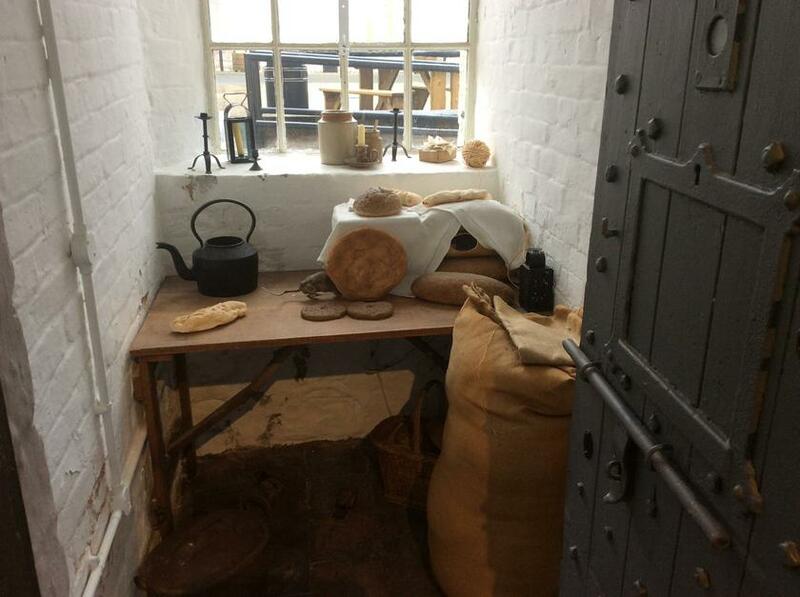 An incredible experience was had by Year 5 And Year 6 pupils when they visited the former Ruthin Gaol. 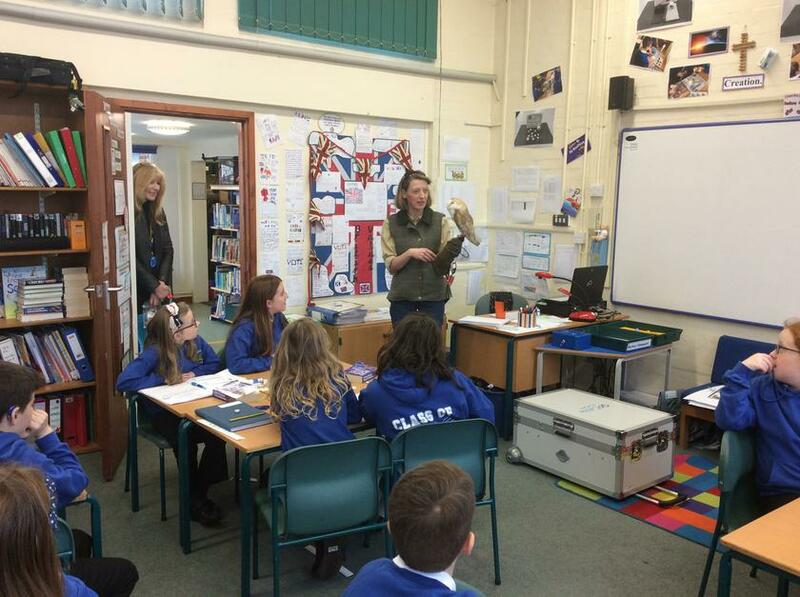 Our visit was funded by the kind generosity and community support of St. Martins High School. 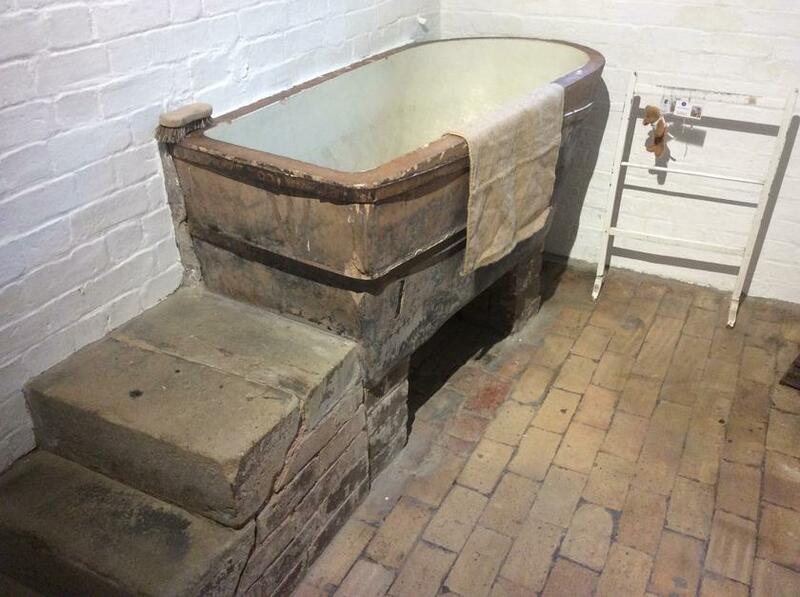 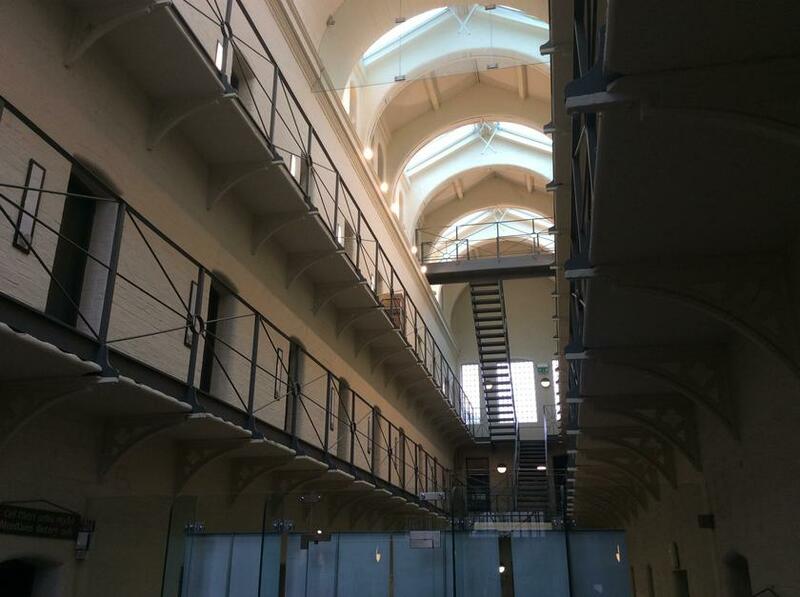 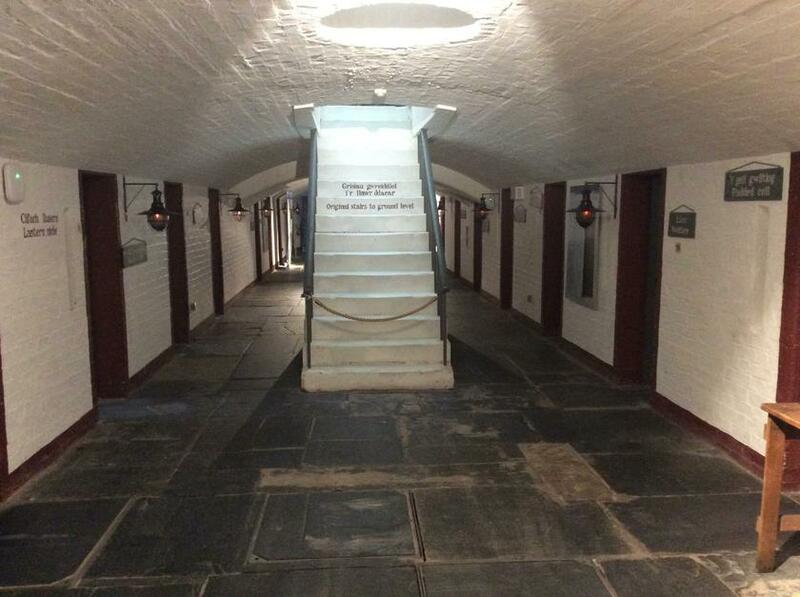 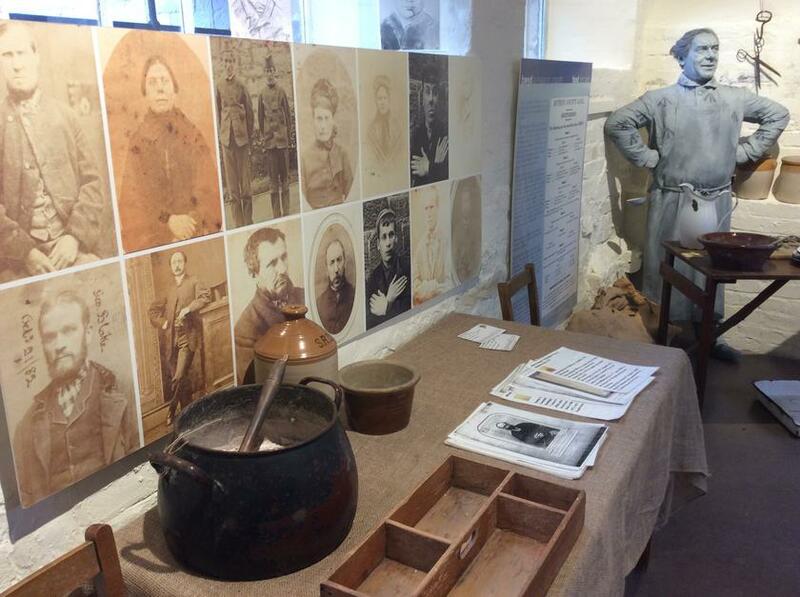 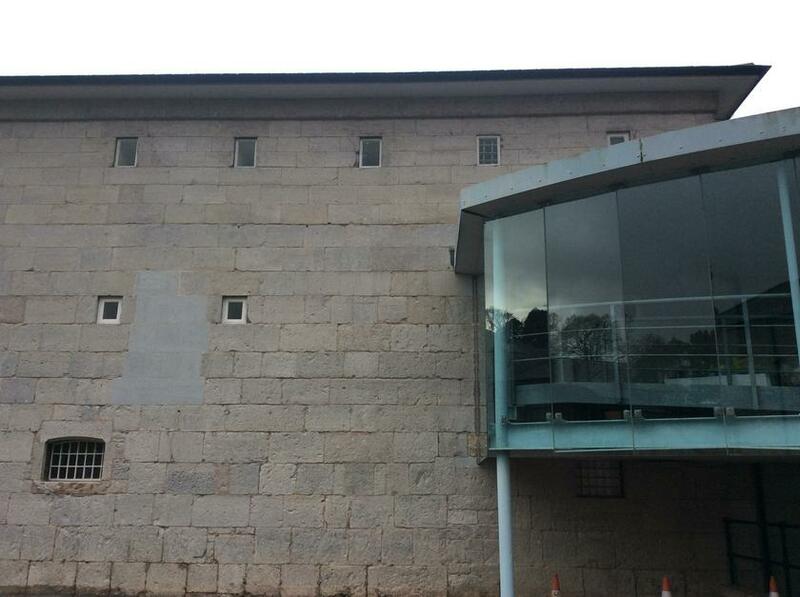 This wonderful building used to house over 100 prisoners and today is open to members of the public to gain an insight into prison life. 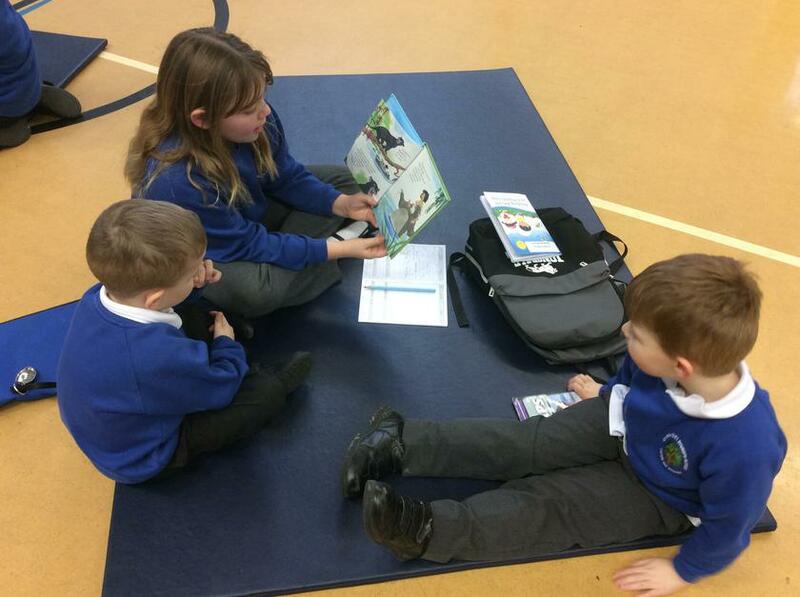 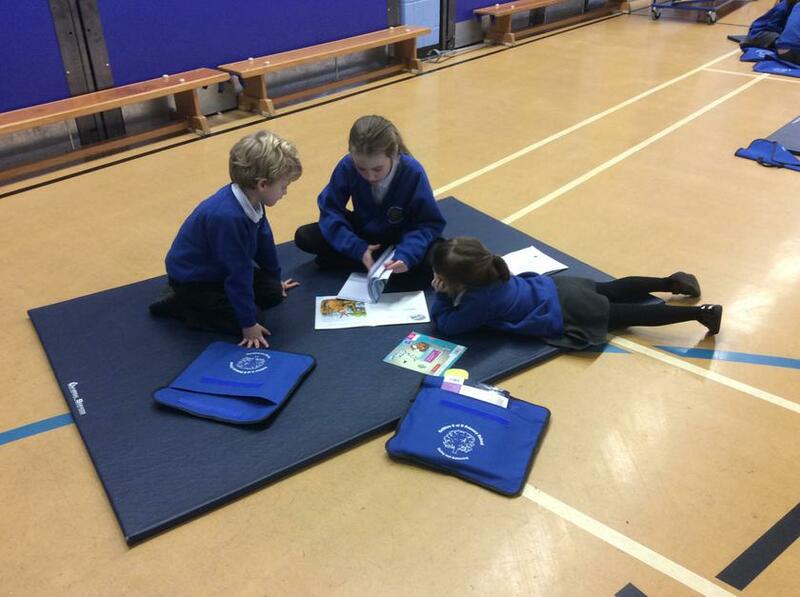 This week we began the wonderful process of year 5 pupils working with reception pupils. 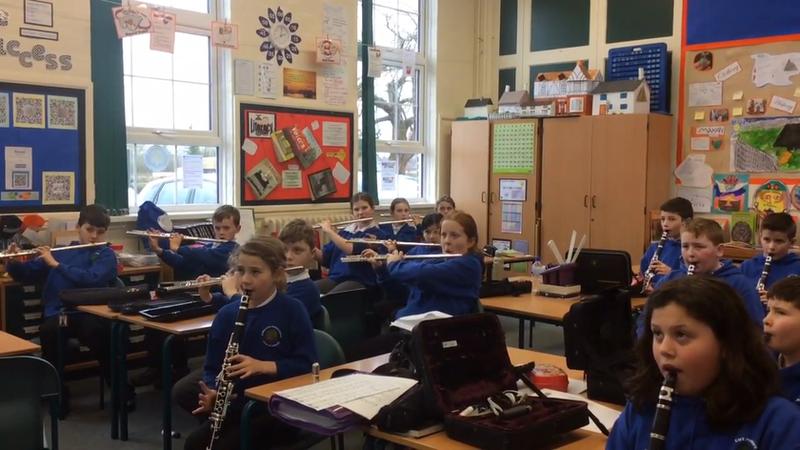 Learning to play an instrument can be both fun and a challenge. 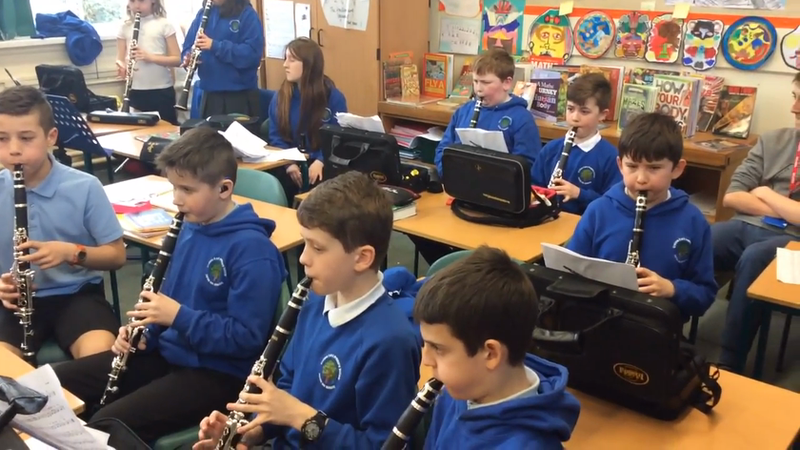 Research suggests that pupils who learn to appreciate music and are able to play instruments also develop and stimulate brain function. 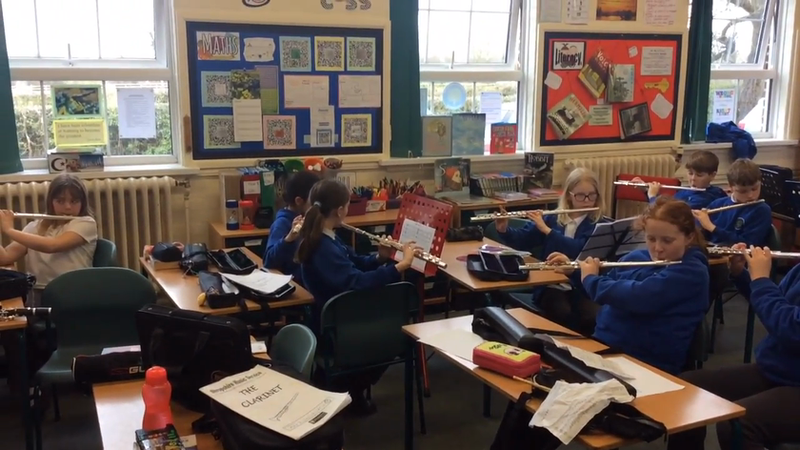 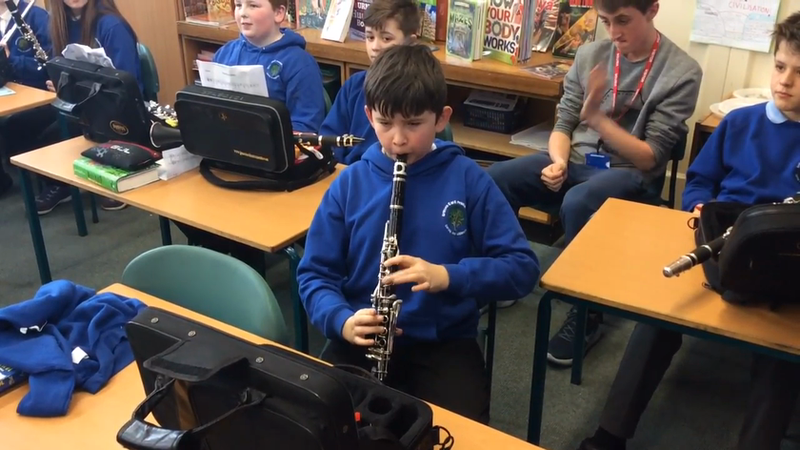 In class 4 we have had great fun learning how to produce a sound and play specific notes on our clarinet or flute. 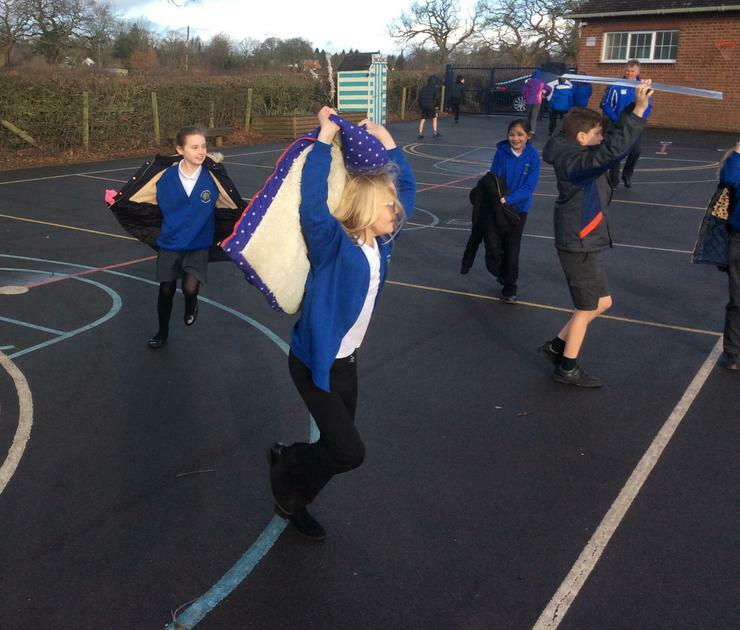 Another great fun lesson ! 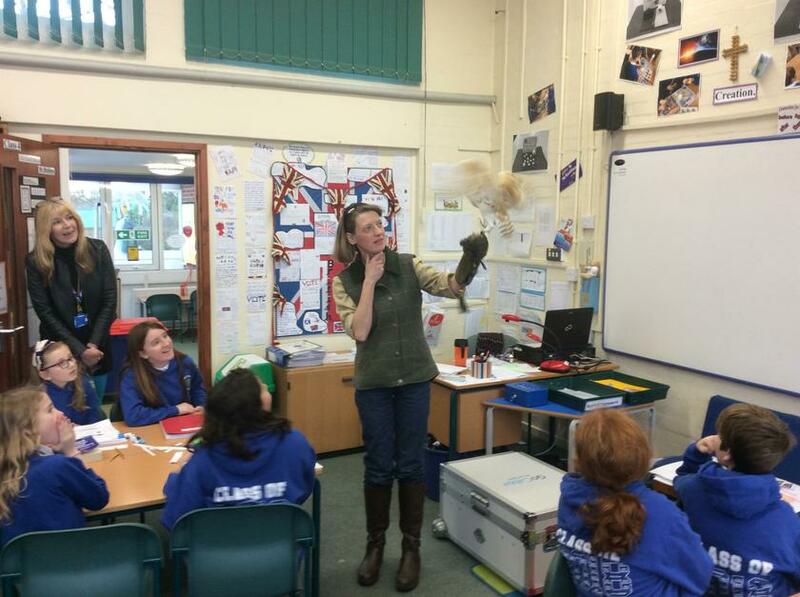 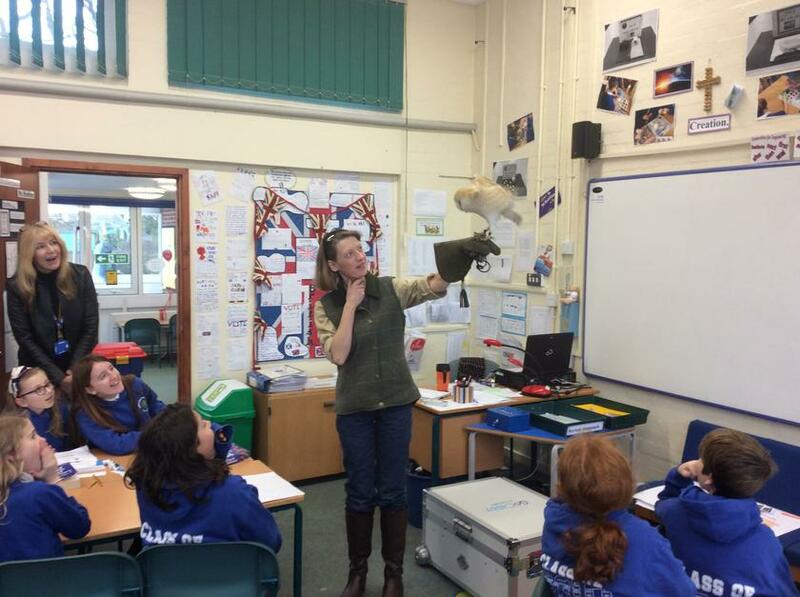 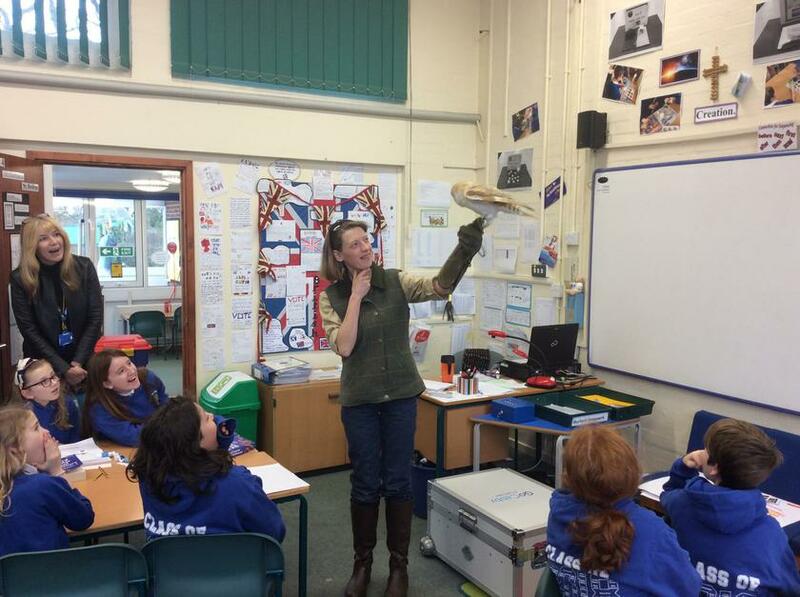 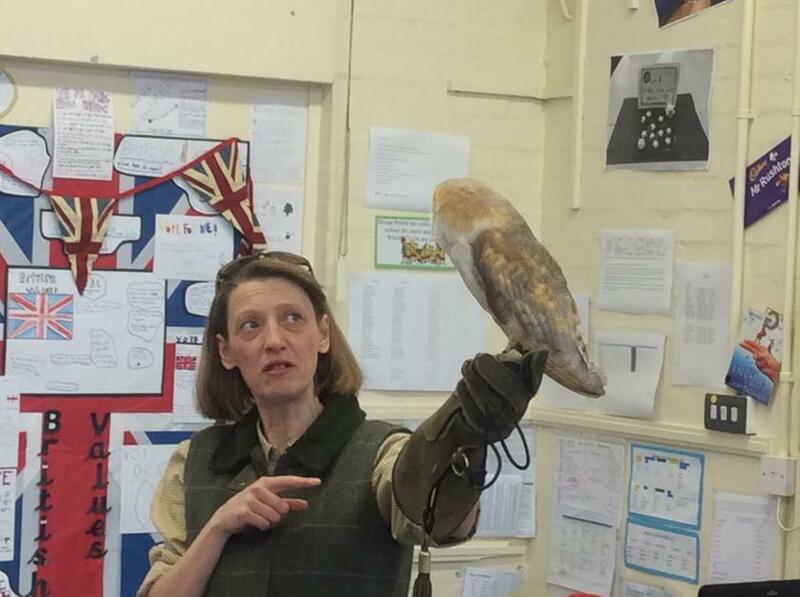 Today we had a special treat when we had a visit from the Shropshire Falconry Centre. 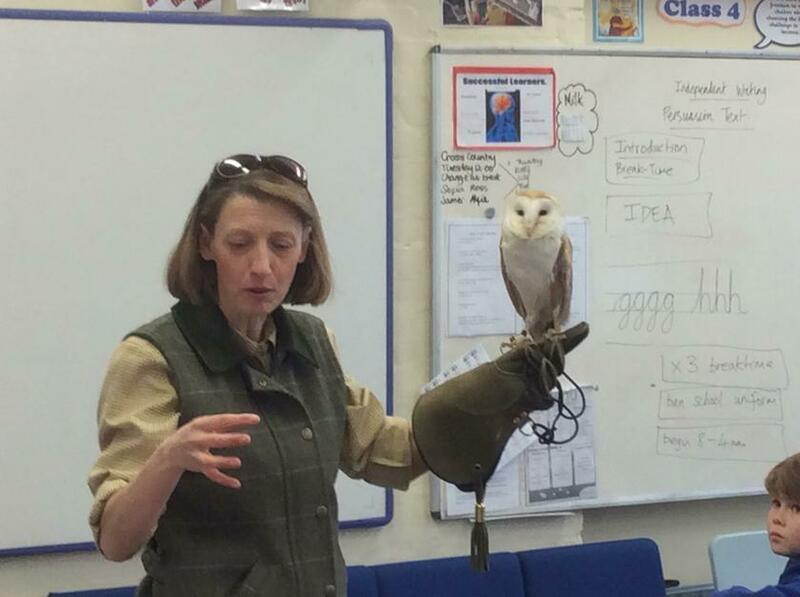 Diamond, the owl came to visit and we were able to ask a range of questions to help us understand more about these incredible creatures. 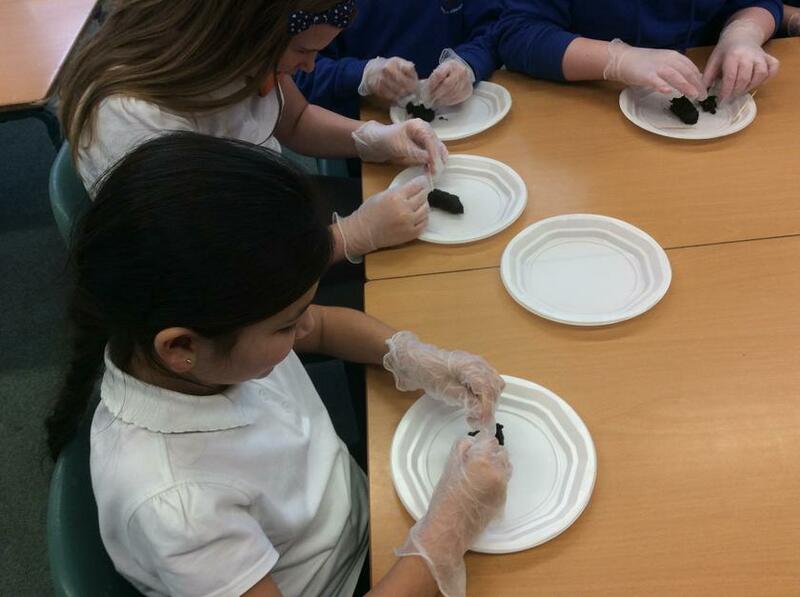 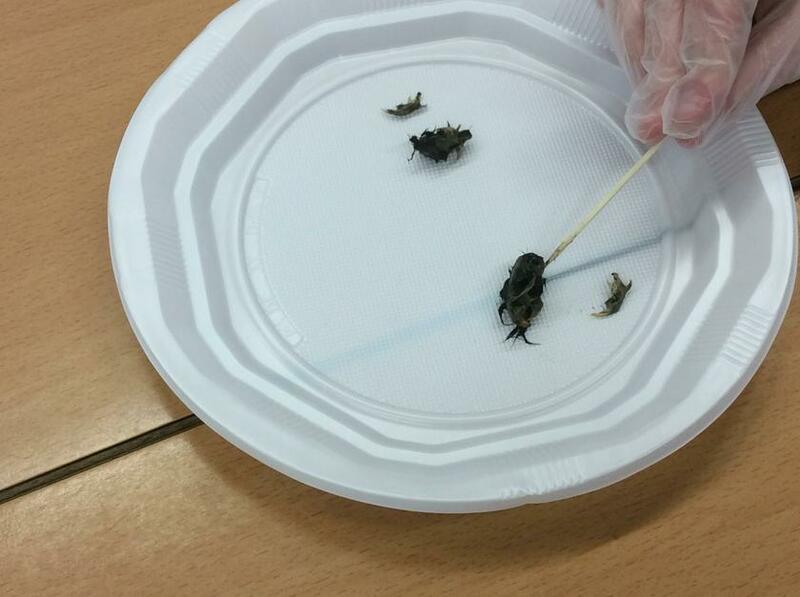 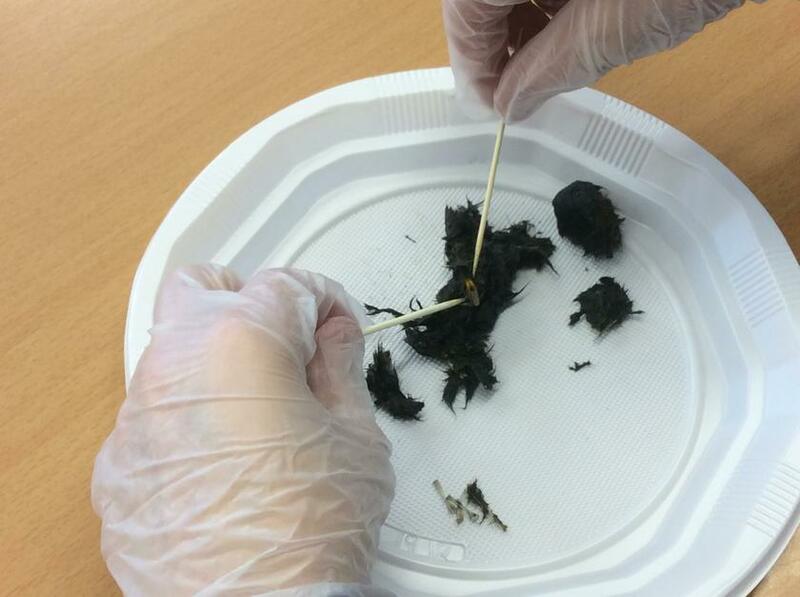 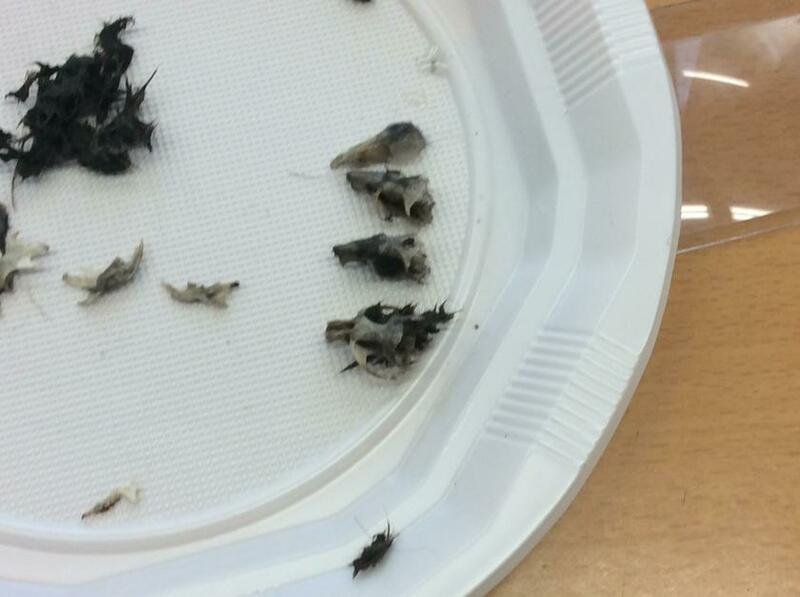 After our visit from Diamond the owl we were able to investigate what owls eat. 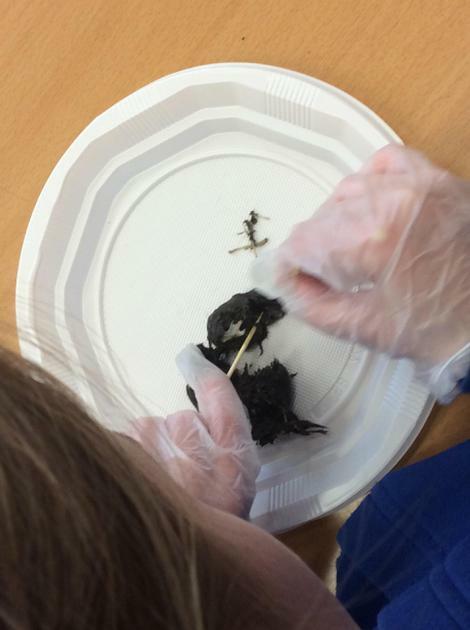 An owl regurgitates a pellet which will contain the remains of undigested mammals which have been consumed. 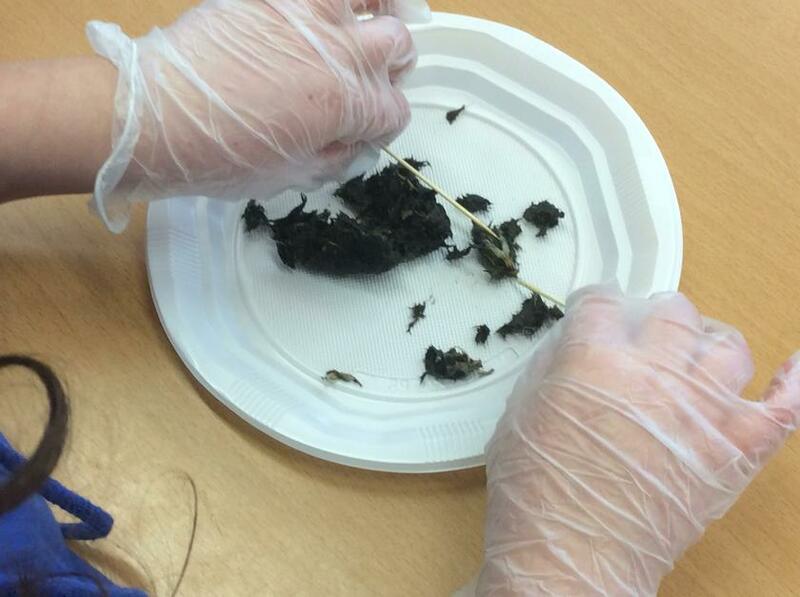 We found all sorts of bones and later used identification guides to help us classify which bones we had found and from which animal. 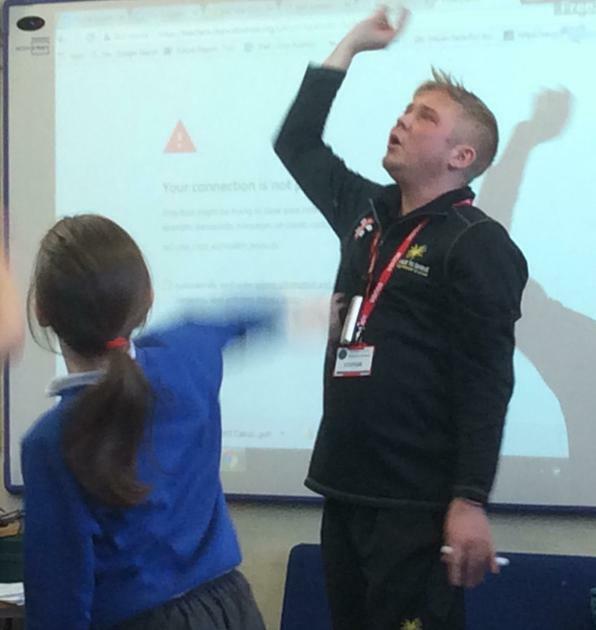 E. Safety with PC Crump. 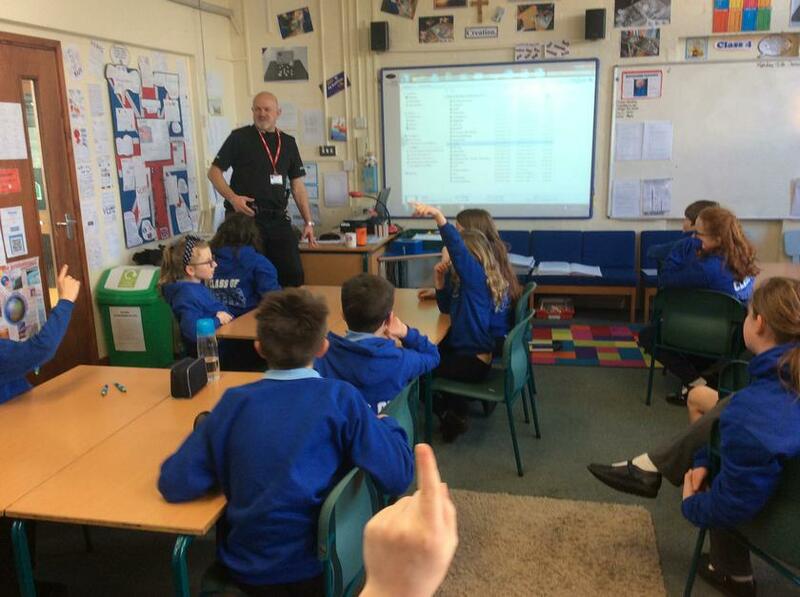 A huge thank you for our visit from our local PC who came to talk to us about keeping safe online. 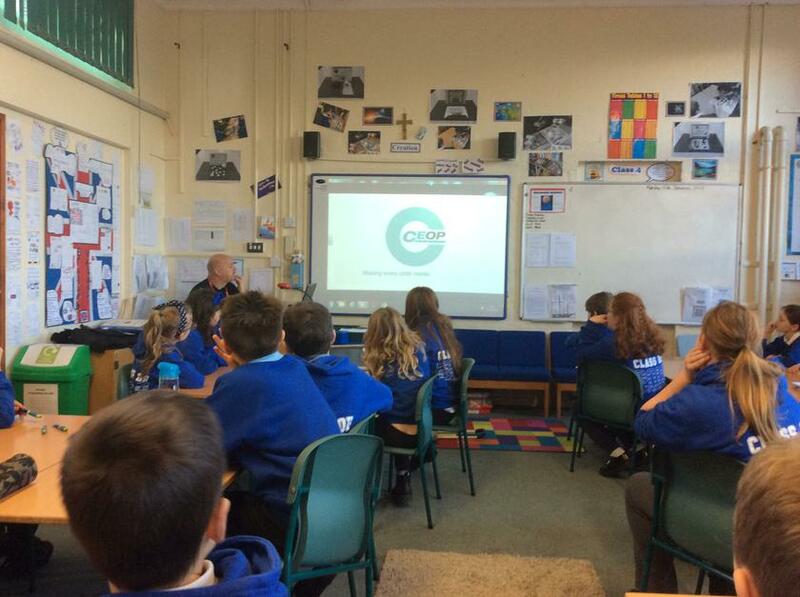 Keeping safe online is about understanding the technology we use and the information we give away whilst online. 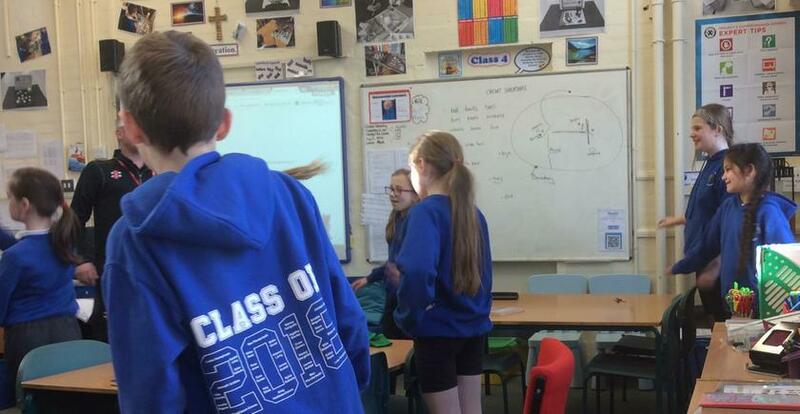 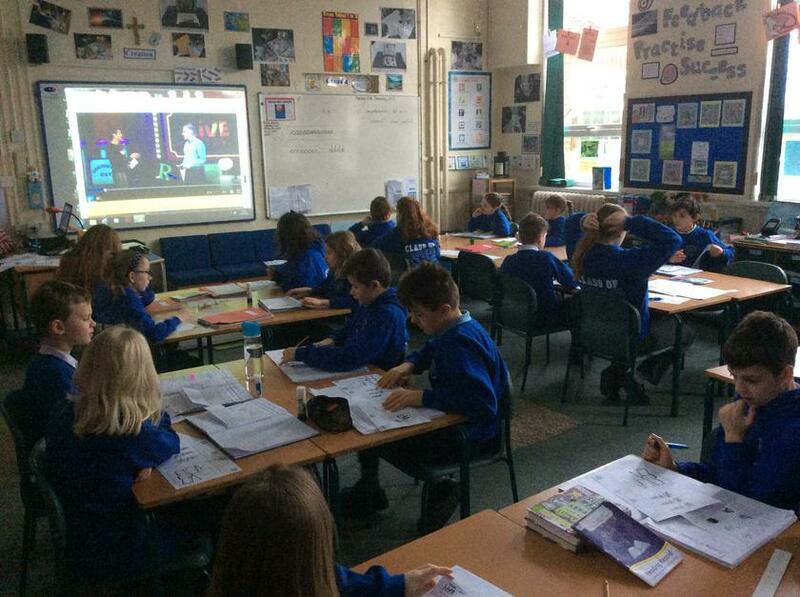 For a change we decided to make use of a live interactive lesson broadcast across the internet. 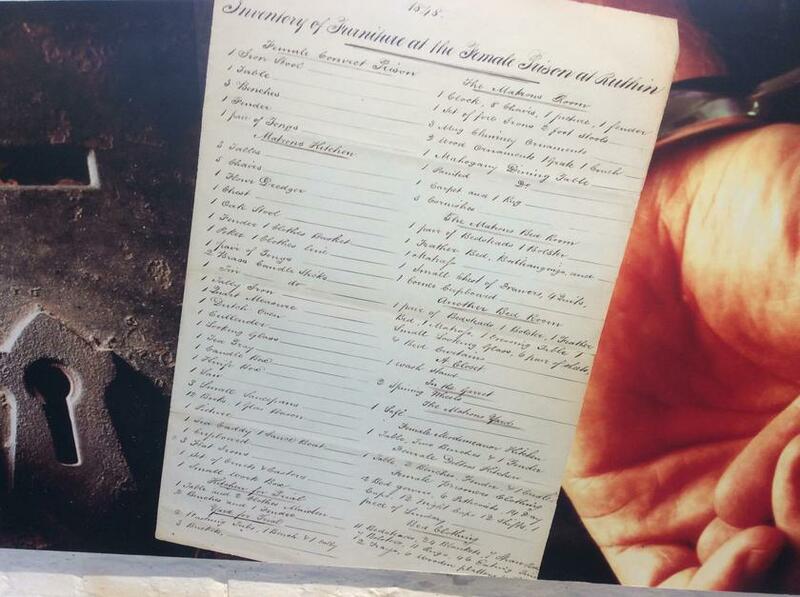 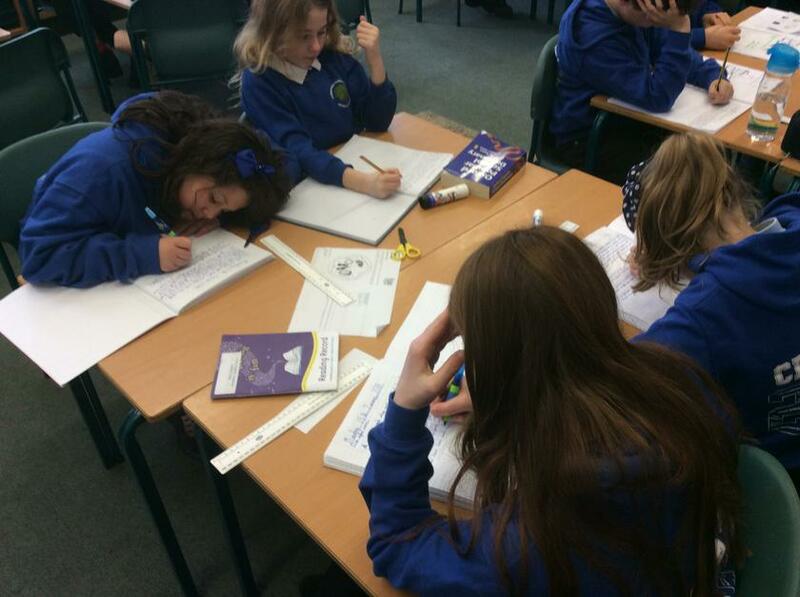 The program helped to inspire and introduce the concept of story writing planning. 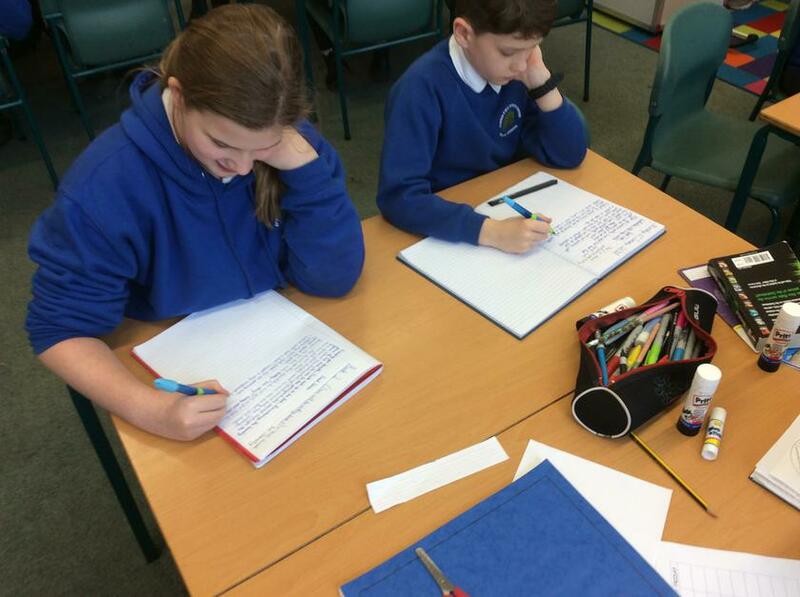 Once we had completed the session and worked with our partners we began writing our own story ! 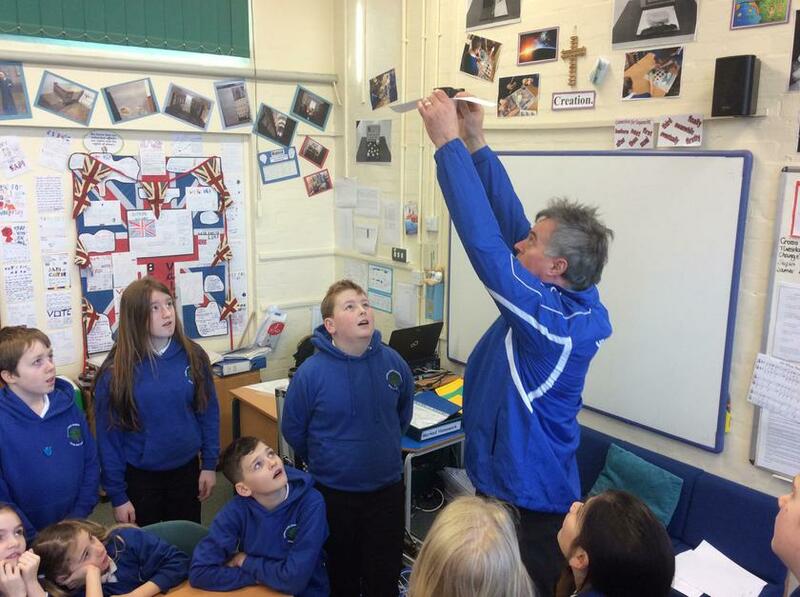 It was great today when one of our pupils was able to bring in some holiday photographs. 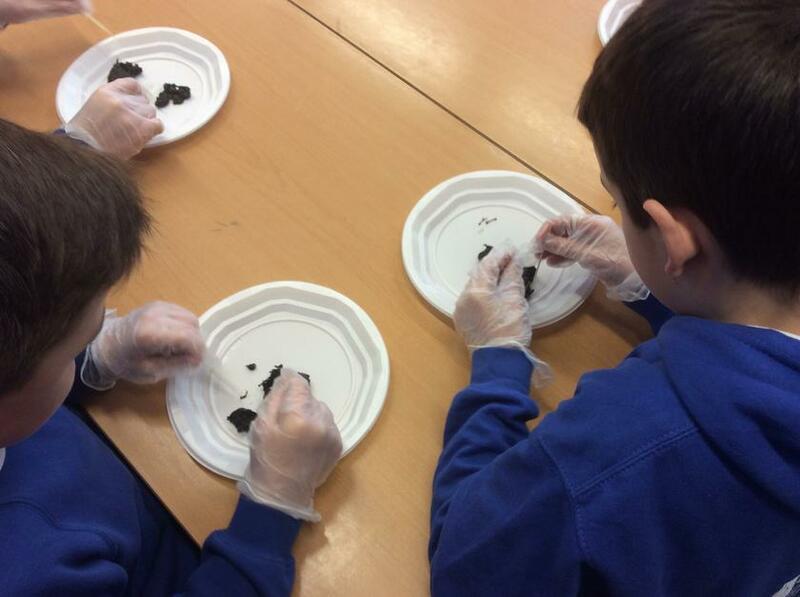 The photographs were superb as they linked into our Maya work. 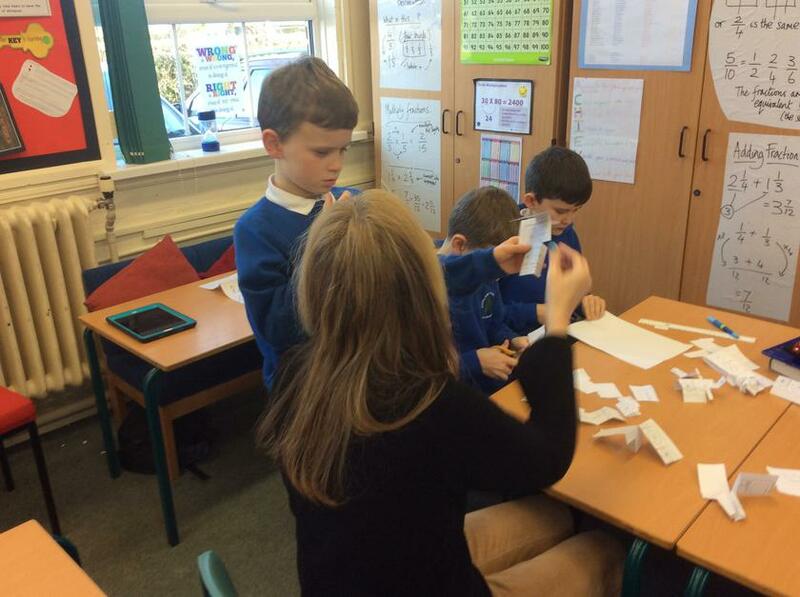 The importance of a Growth Mindset. 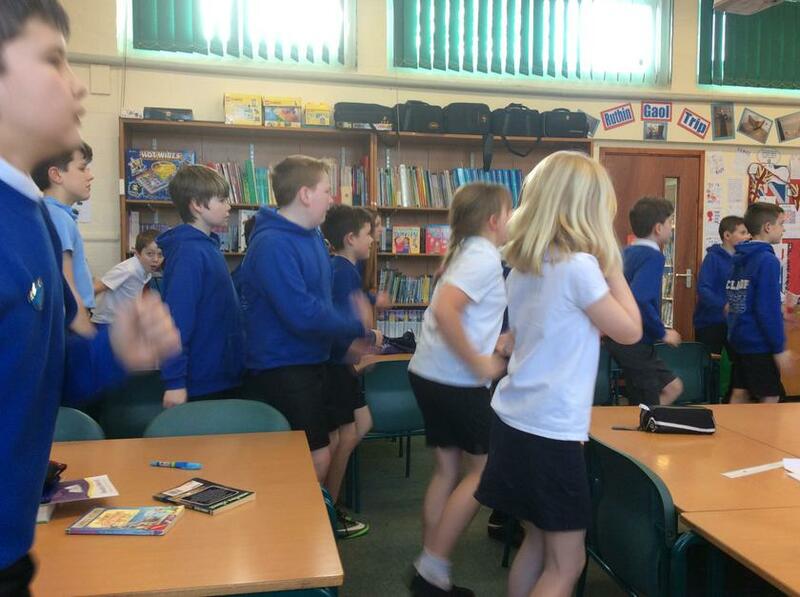 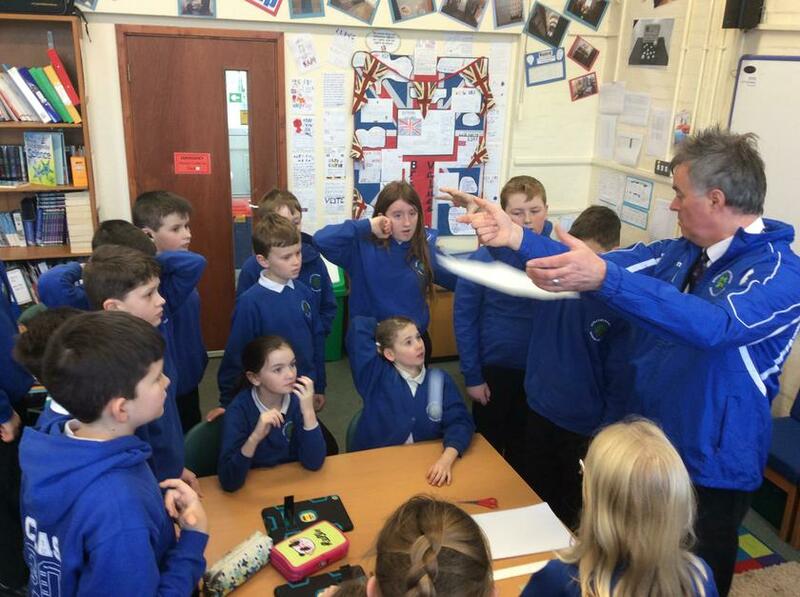 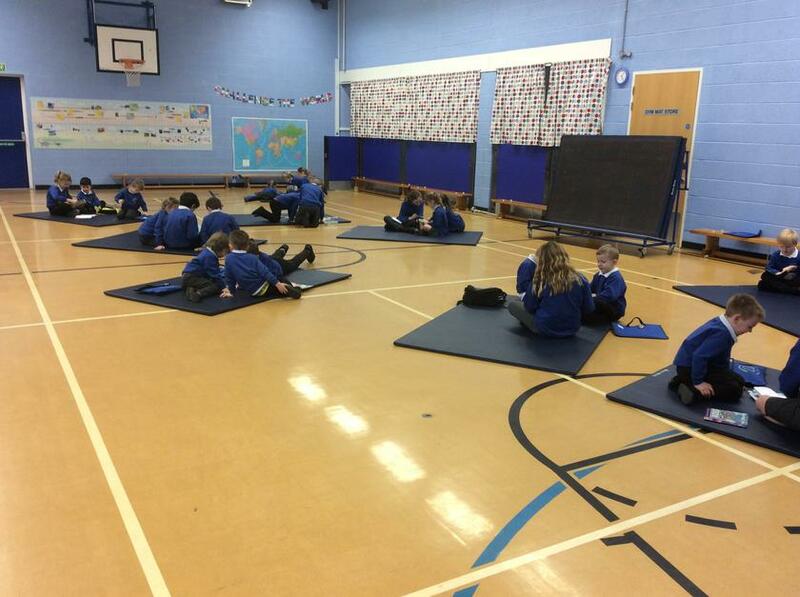 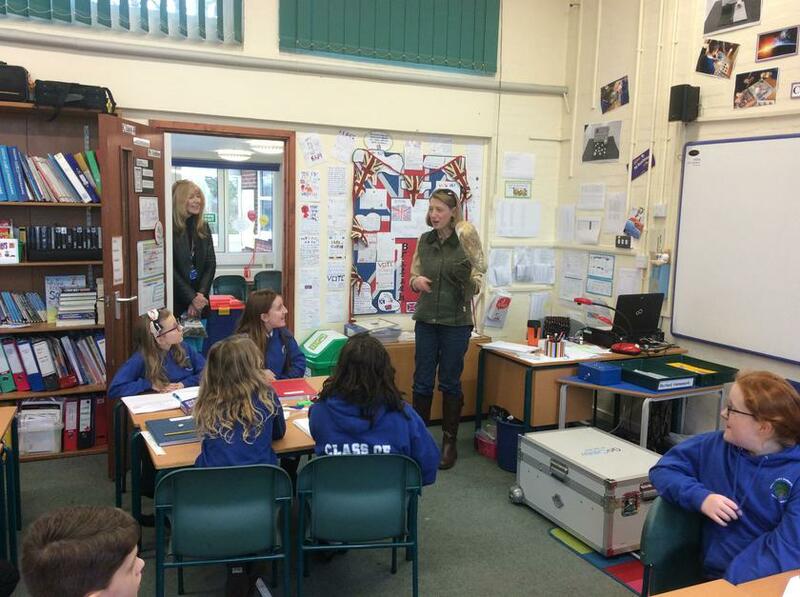 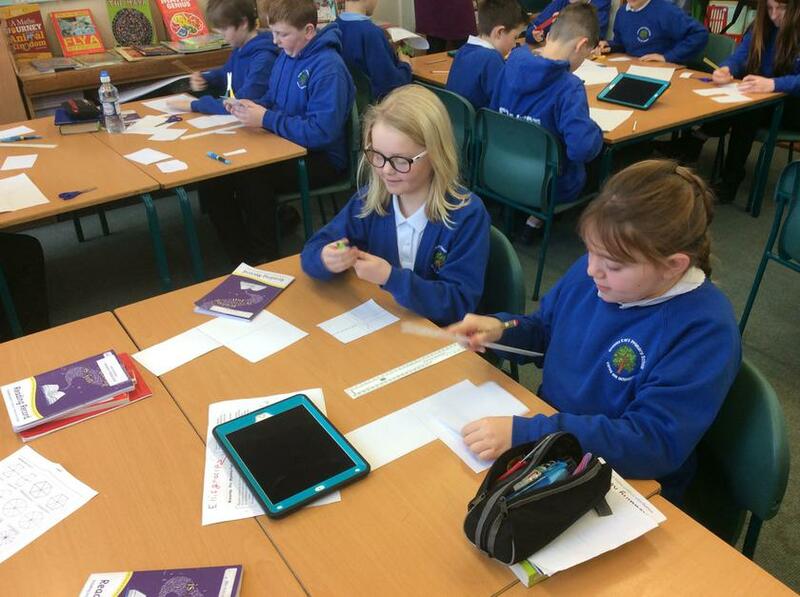 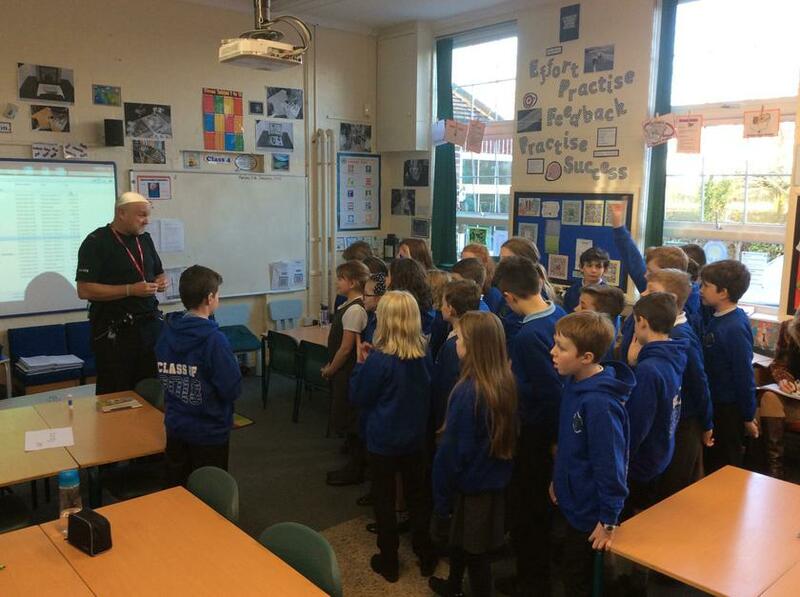 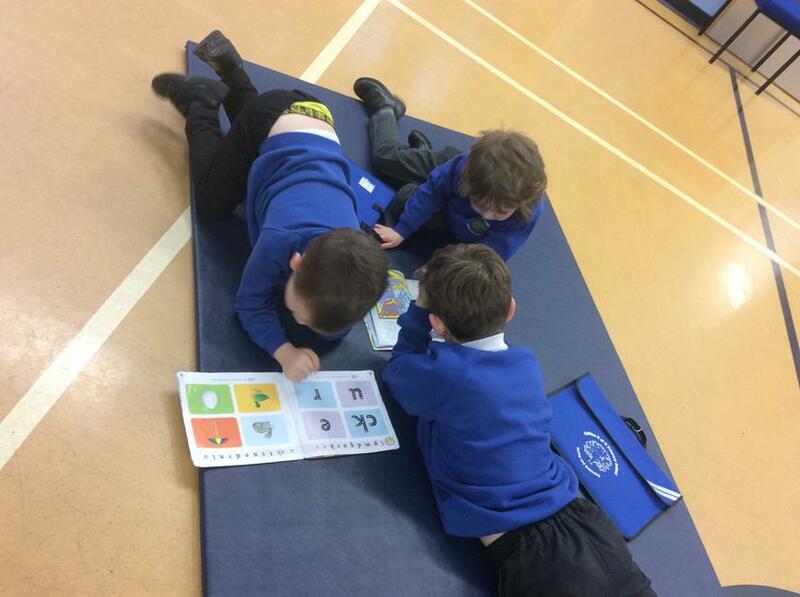 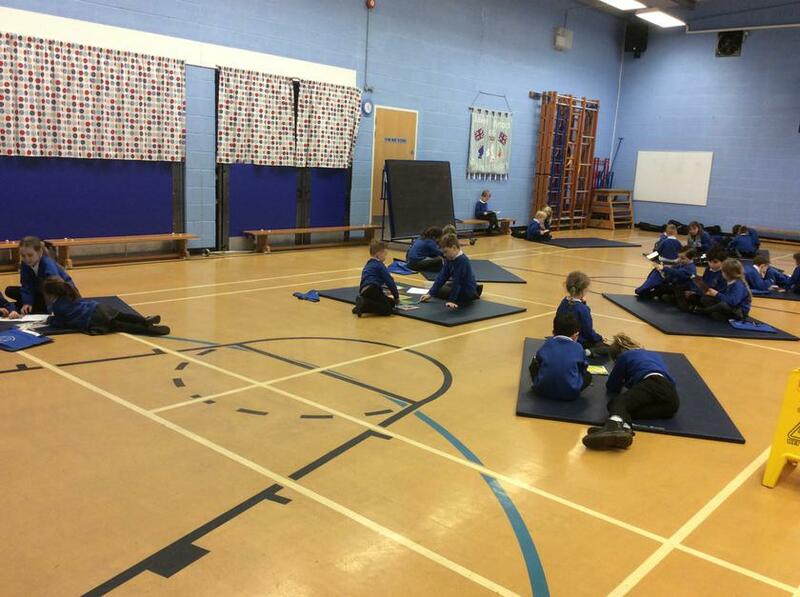 All pupil in class 4 are encouraged to maintain a positive and proactive approach to their learning. 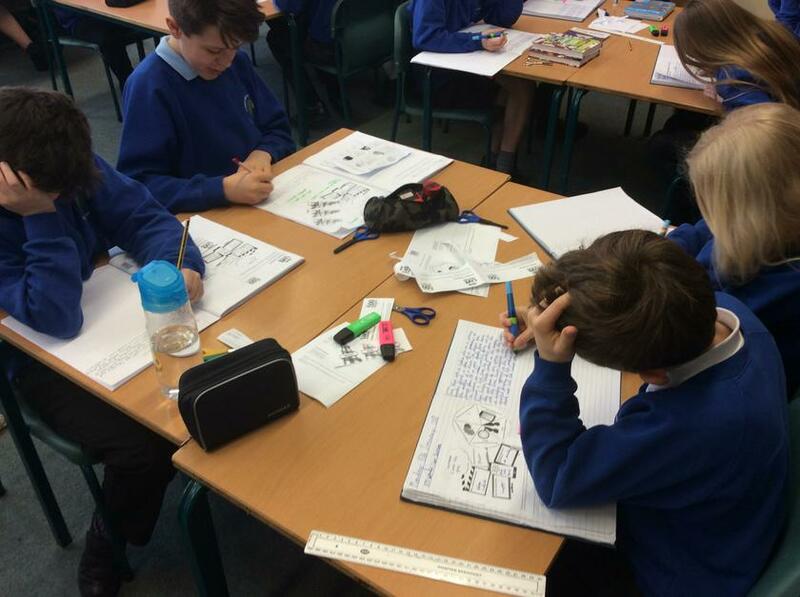 Year 6 pupils in particular need to begin with putting effort into their maths, reading and writing as these will be tested as part of their end of KS2 SAT's. 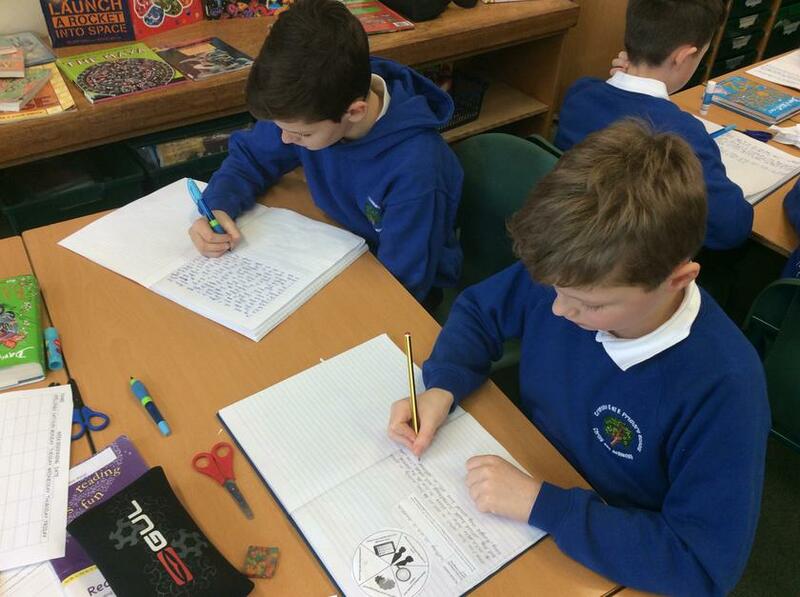 Pupils who work hard both in school and at home often achieve greater expected outcomes and also are better prepared for High School. 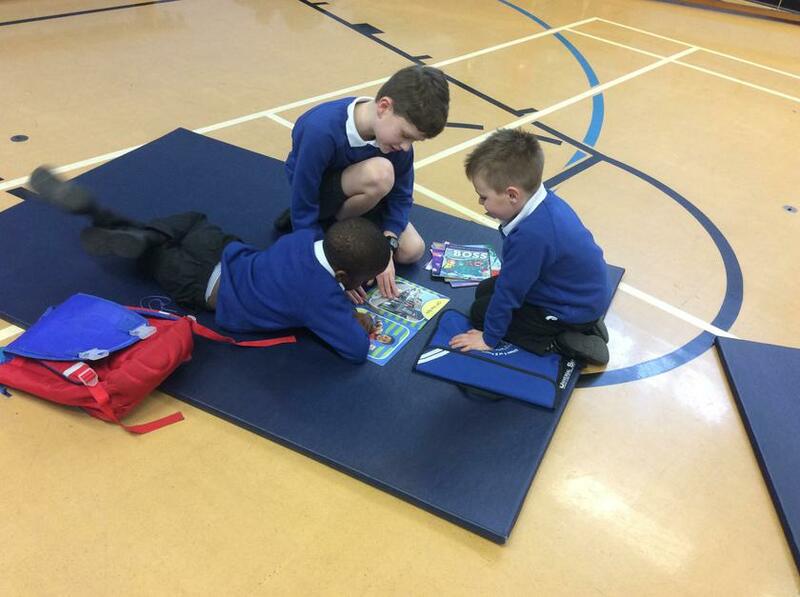 Success rewarded each week in Celebration Assembly. 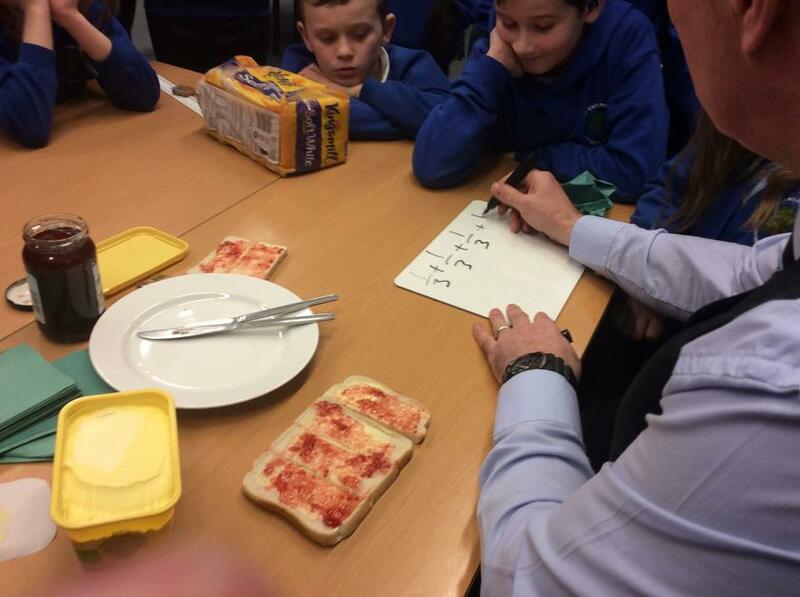 What better way to learn about Fractions. 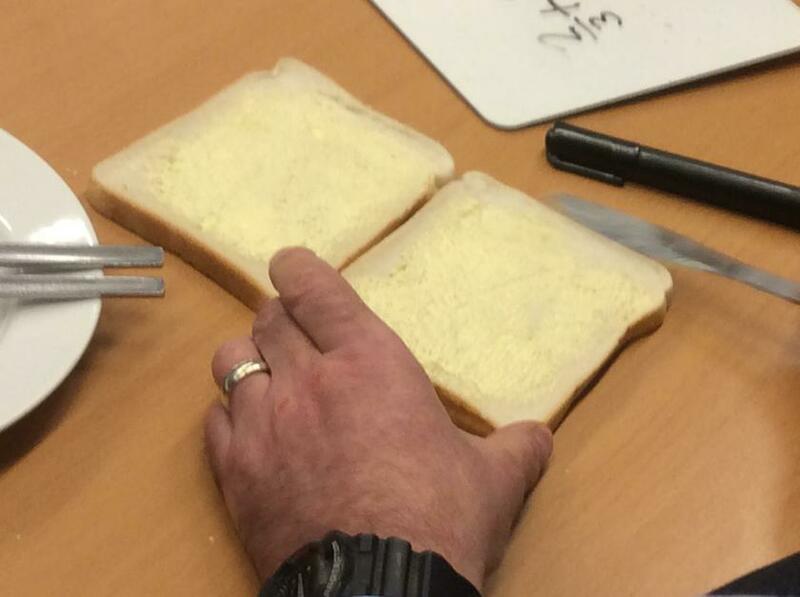 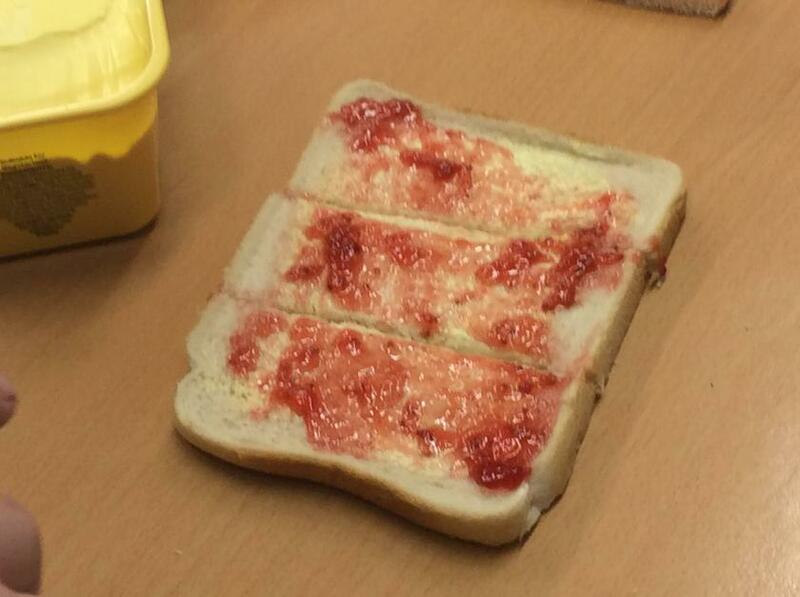 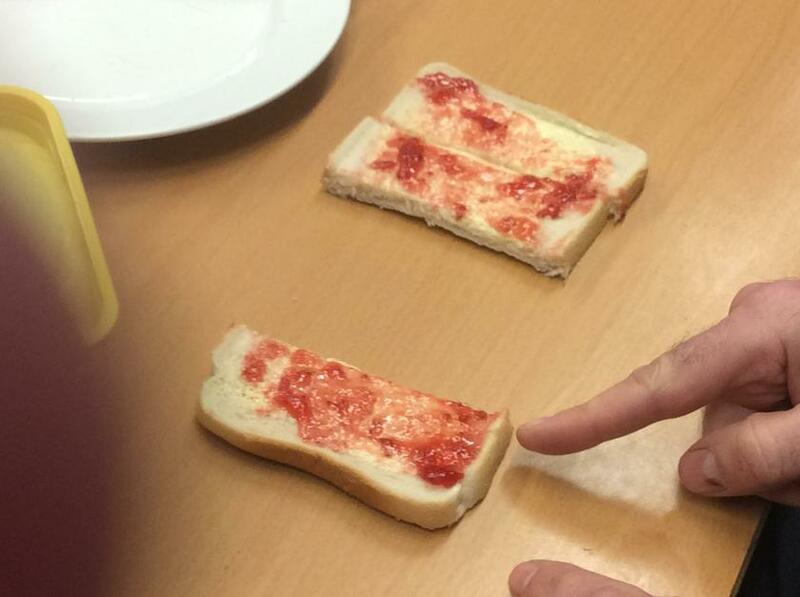 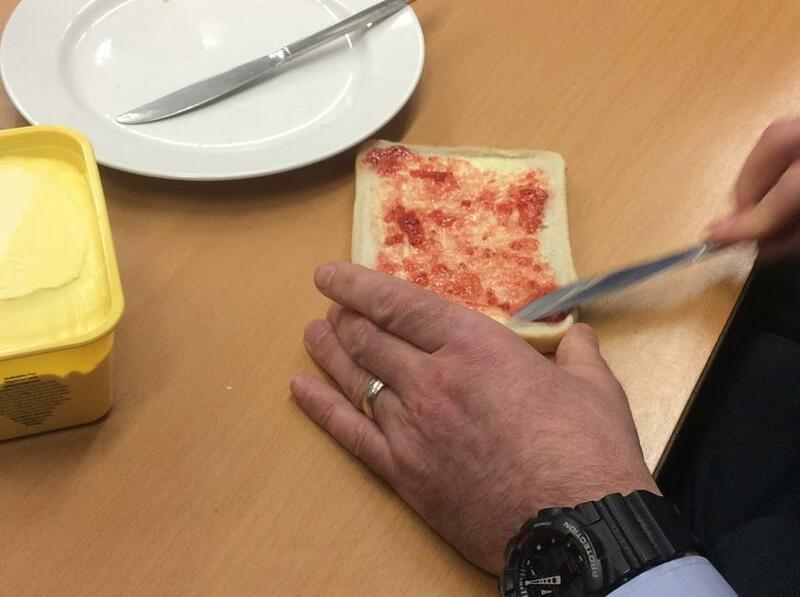 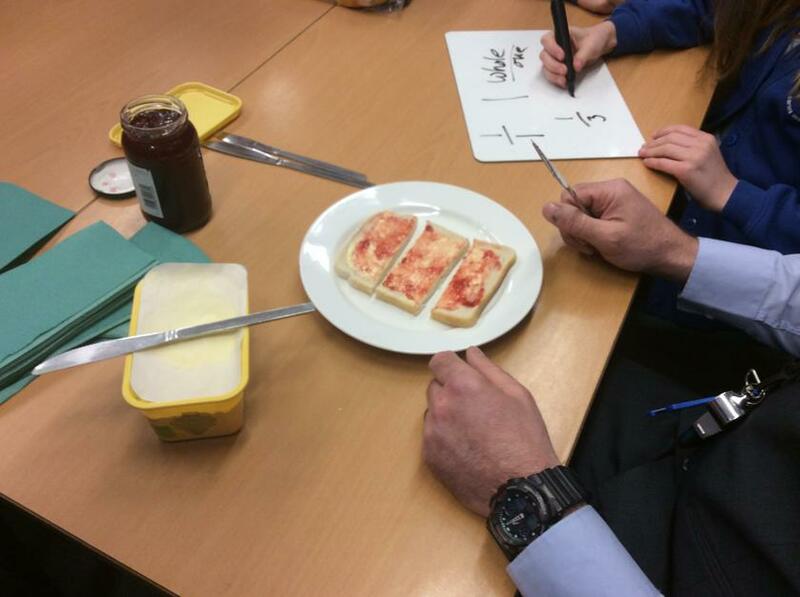 This week we began looking at the concept of sharing and fractions through making some Jam Sandwiches ! 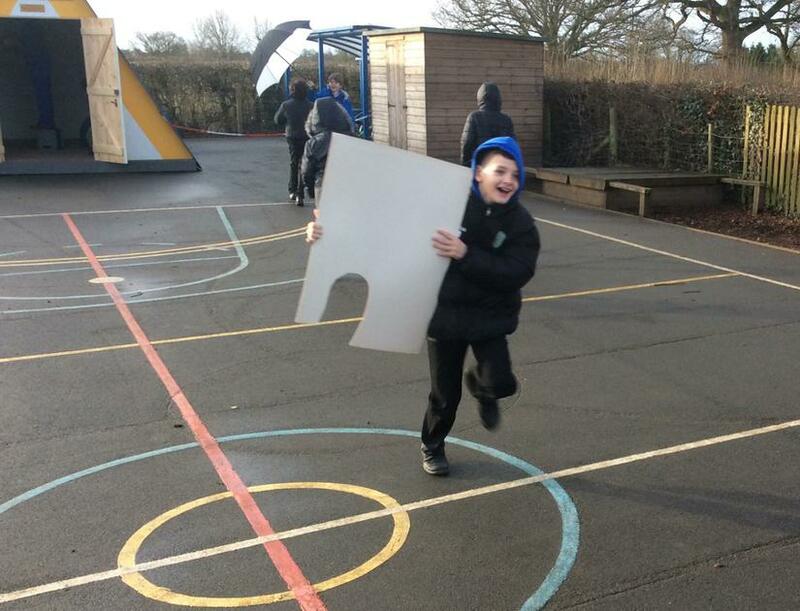 What great fun cutting them into thirds and then looking at the way that they can then be added. 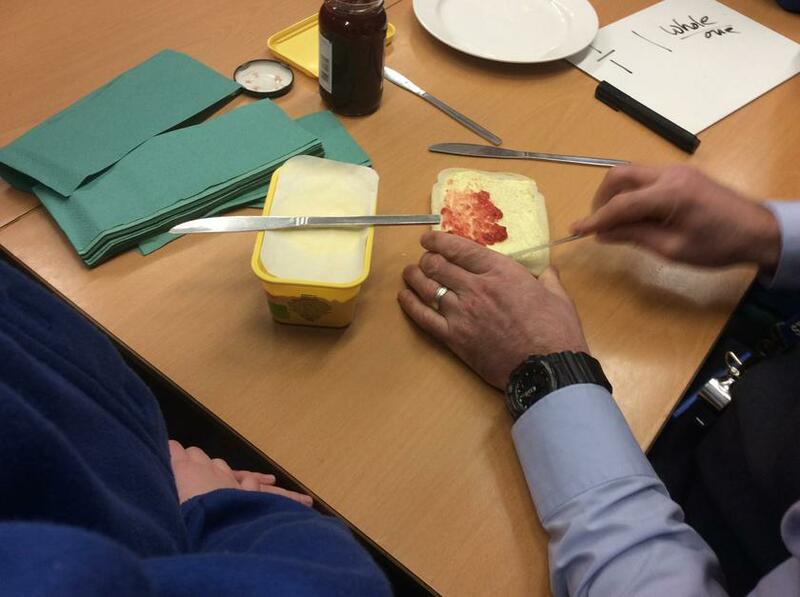 It really brings an abstract concept to life when you can visualise and eat what you have made !